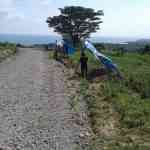 The very first thing we did was lay out the markers for the road. 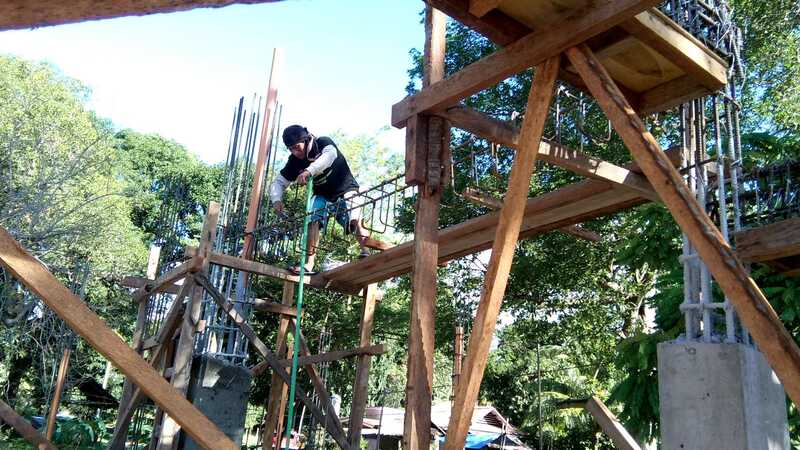 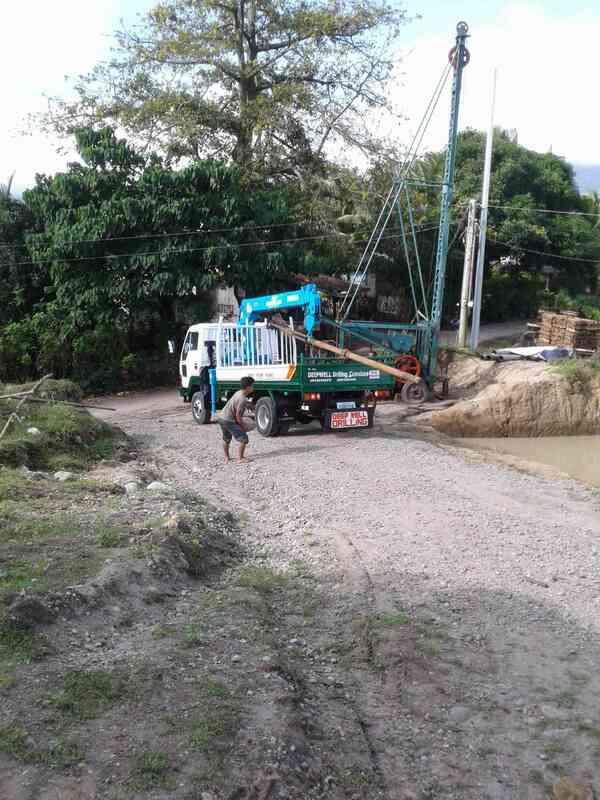 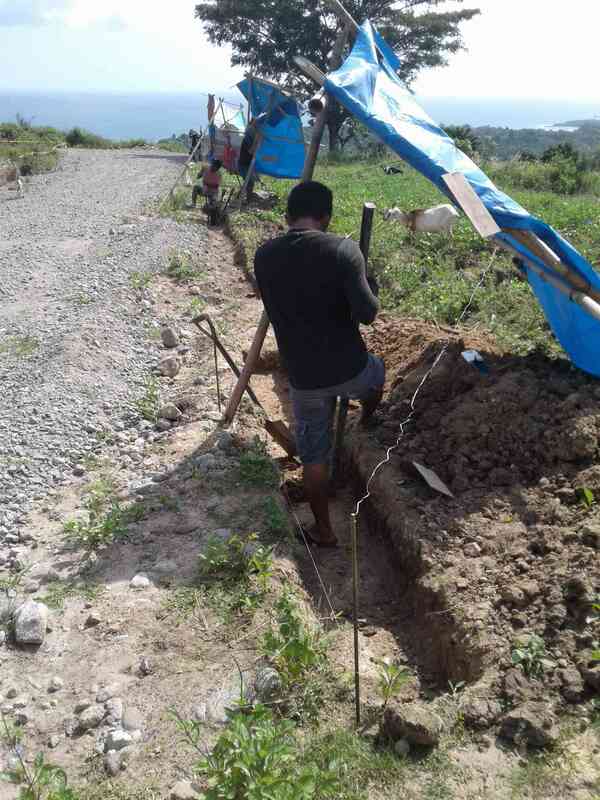 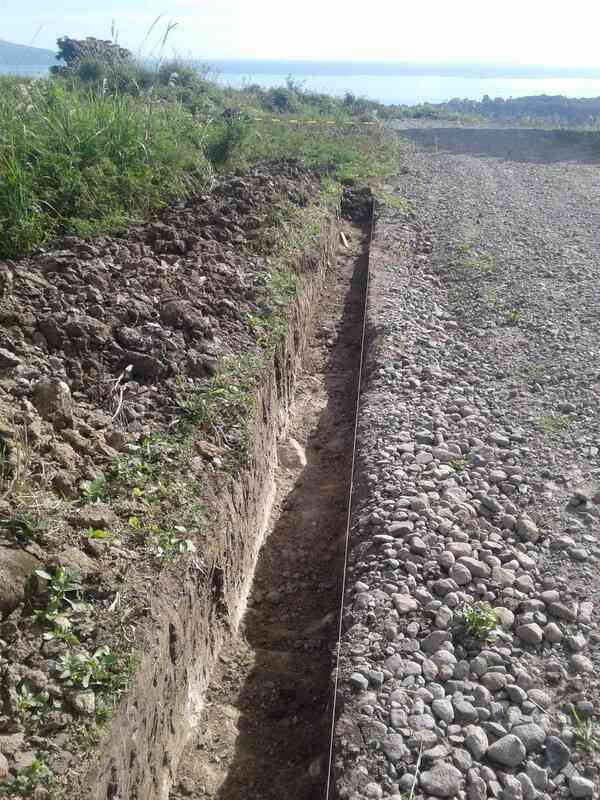 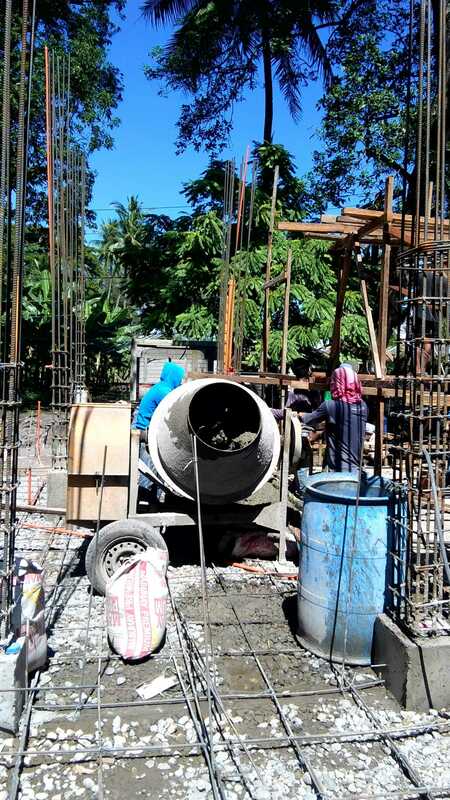 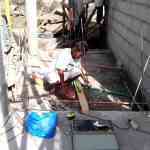 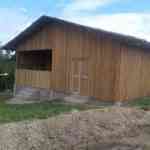 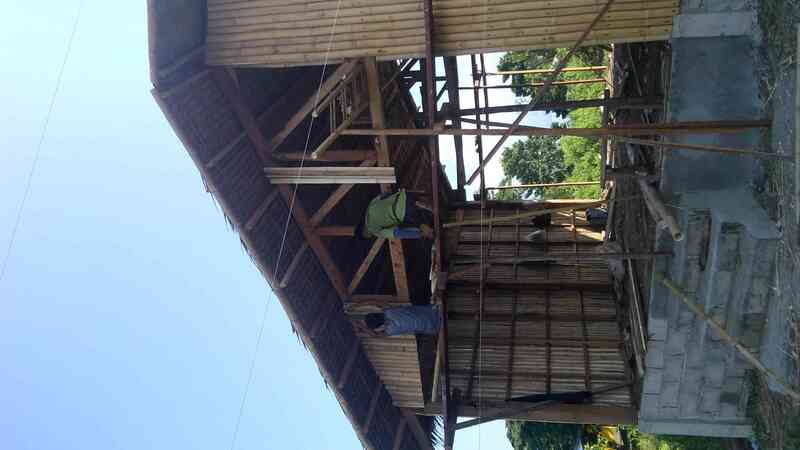 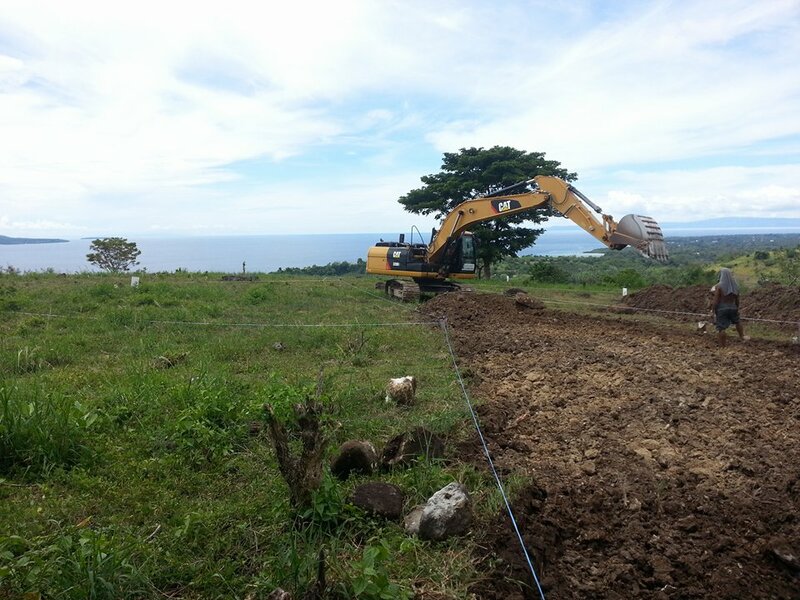 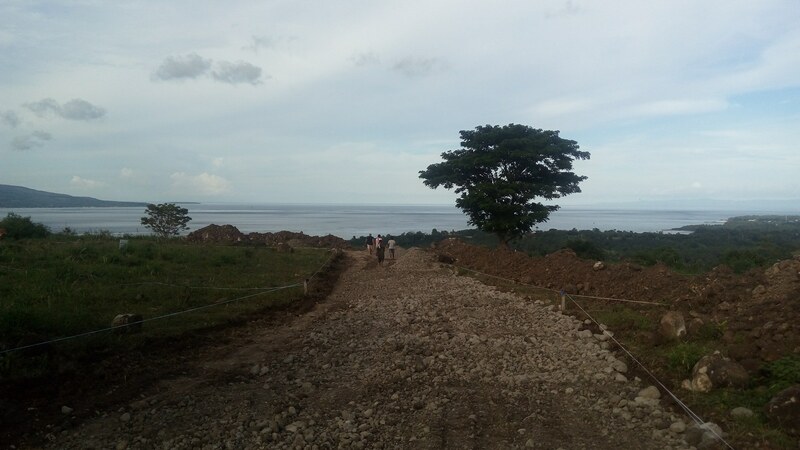 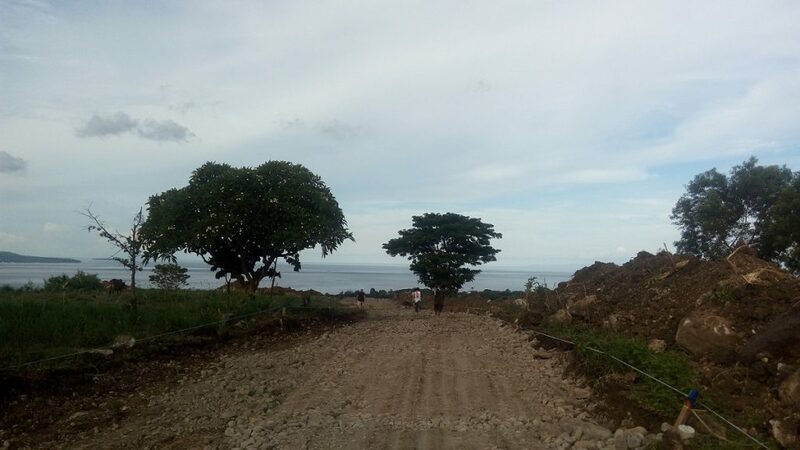 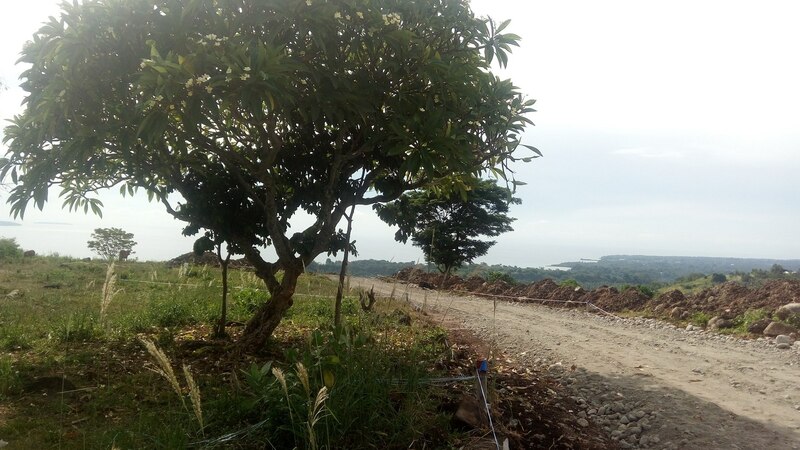 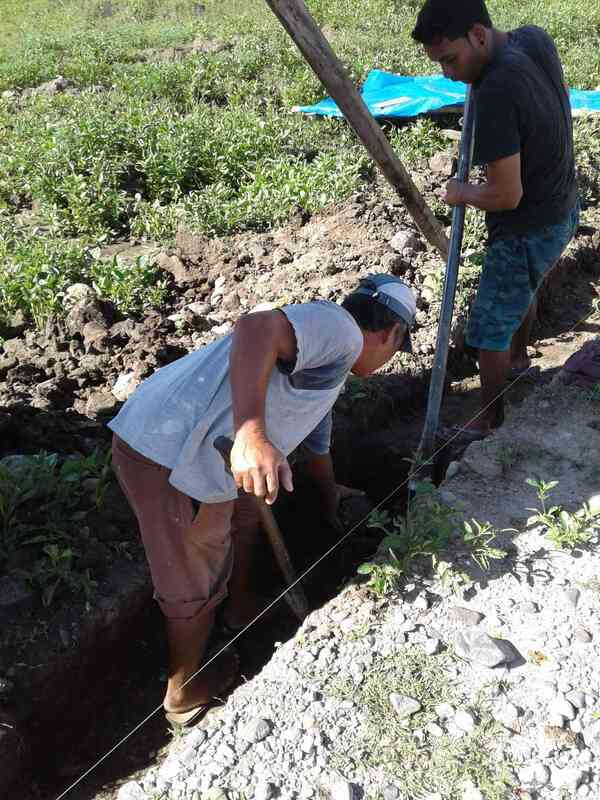 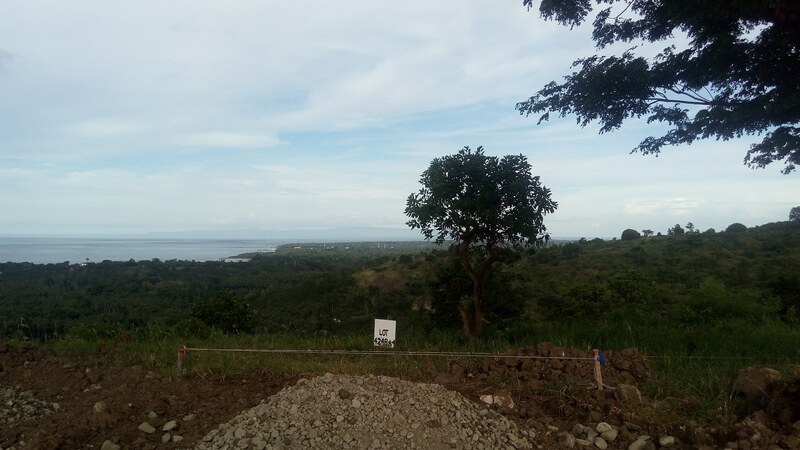 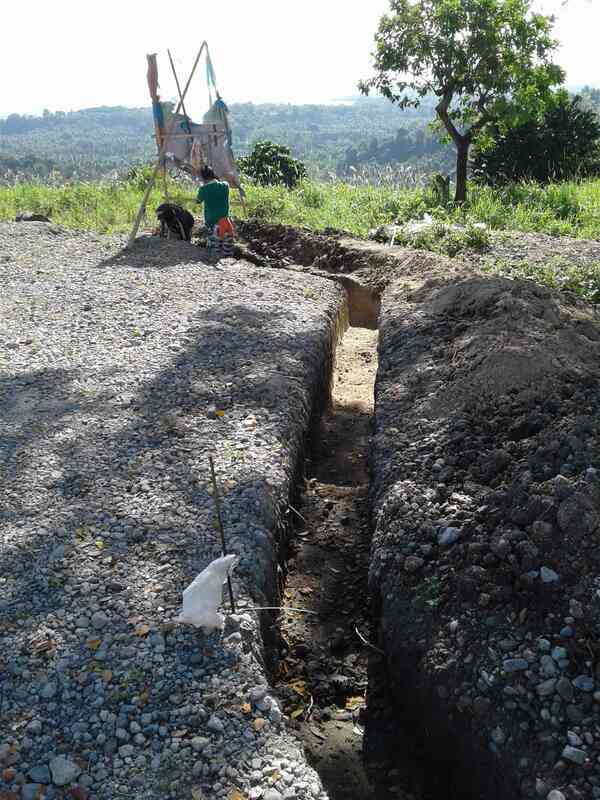 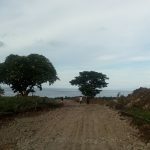 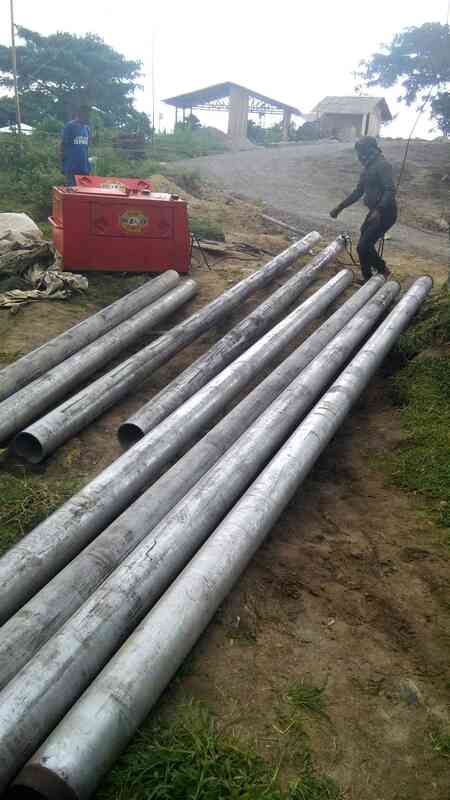 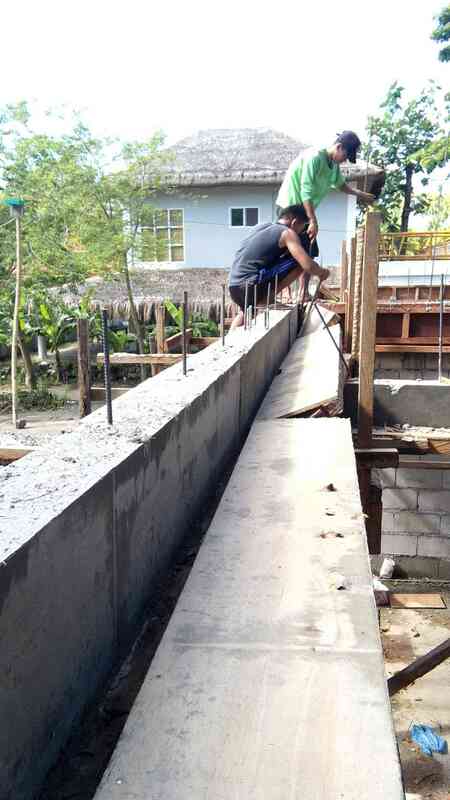 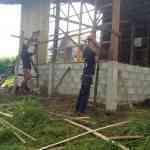 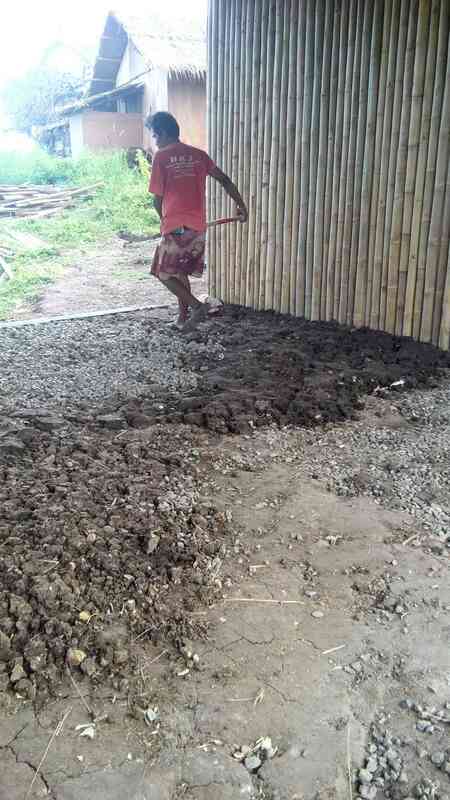 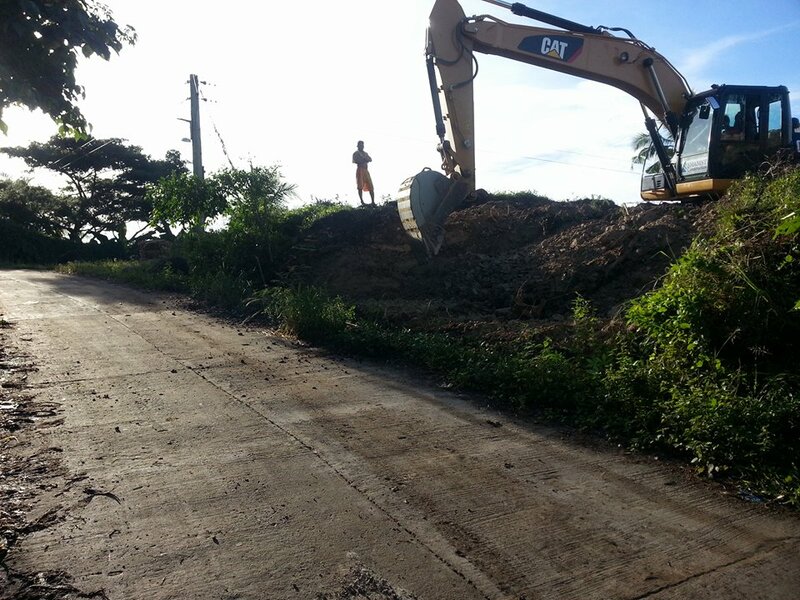 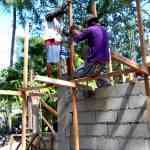 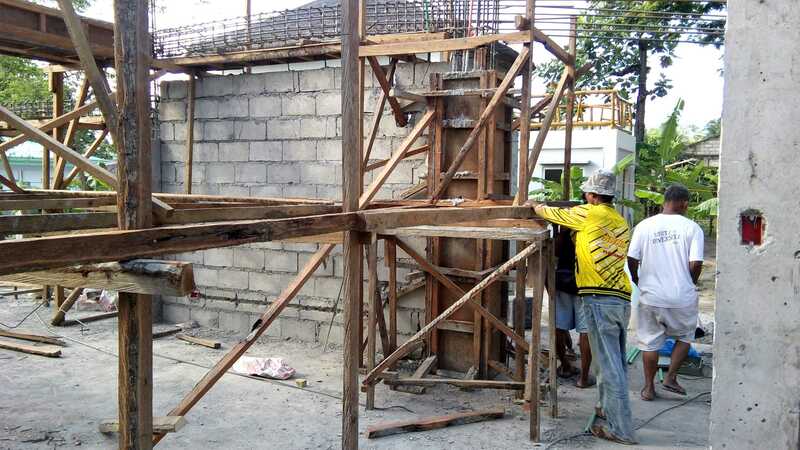 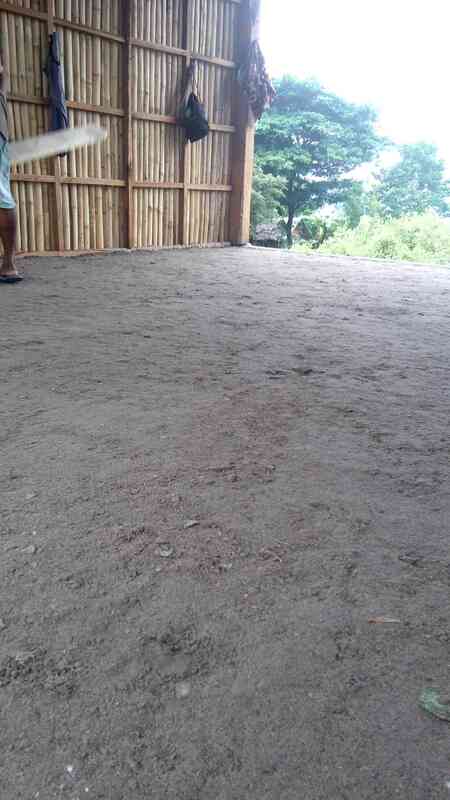 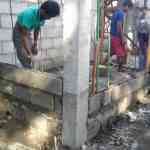 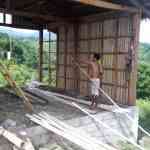 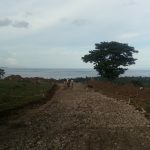 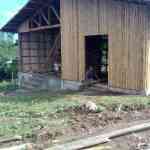 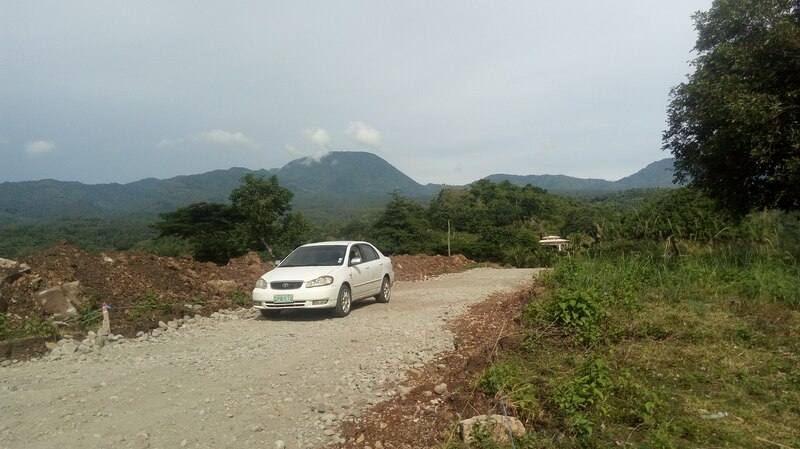 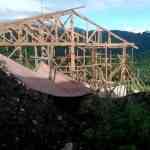 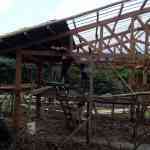 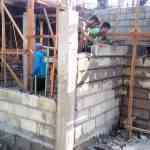 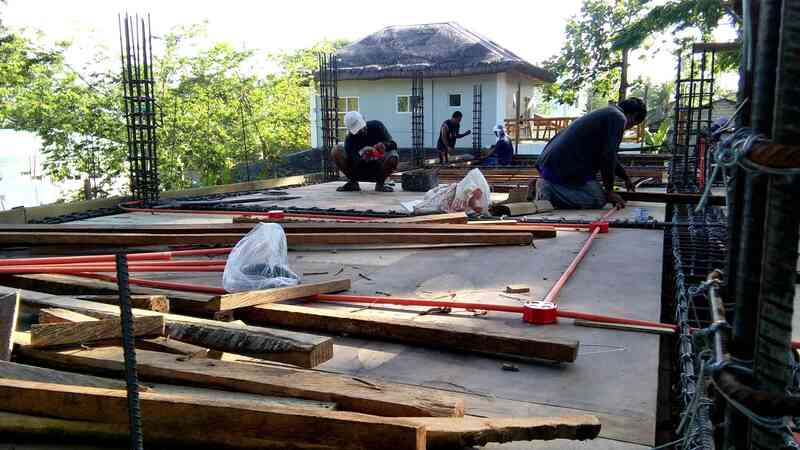 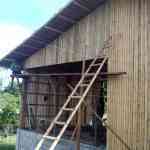 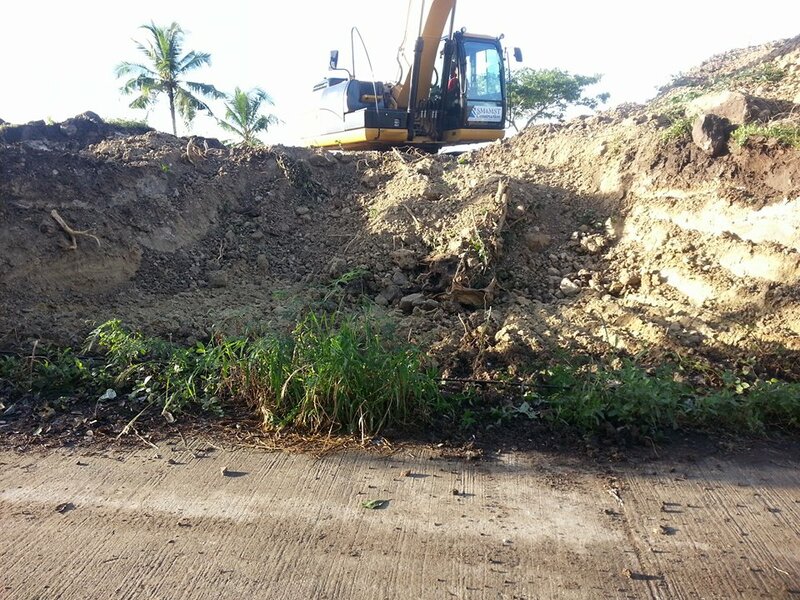 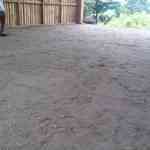 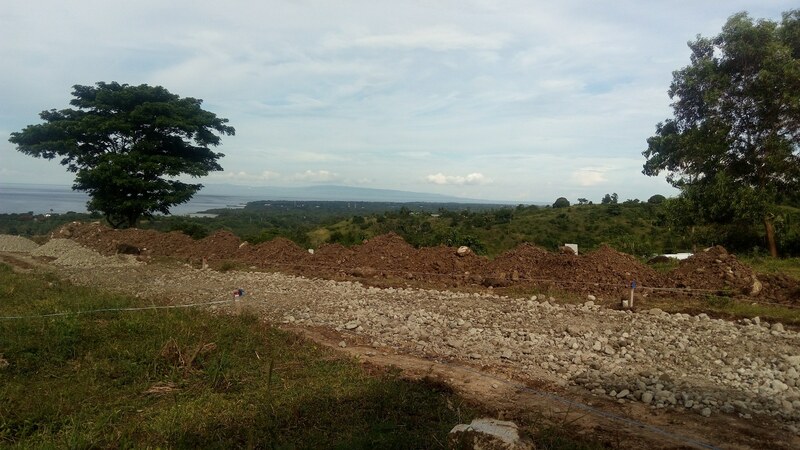 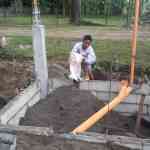 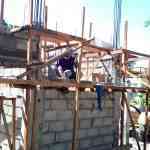 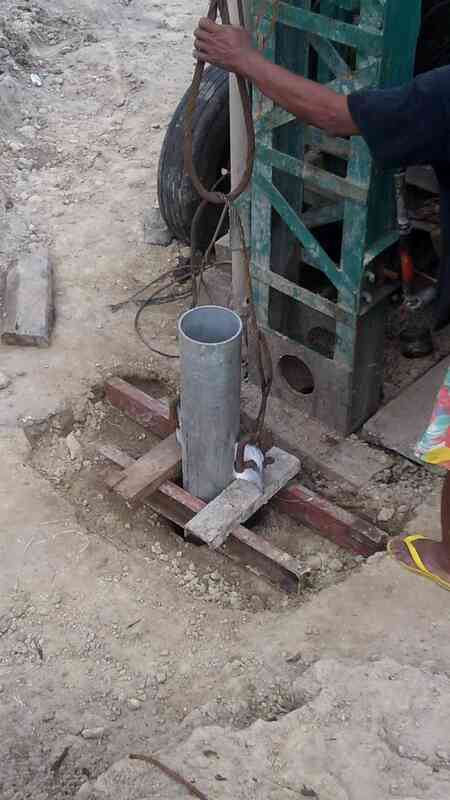 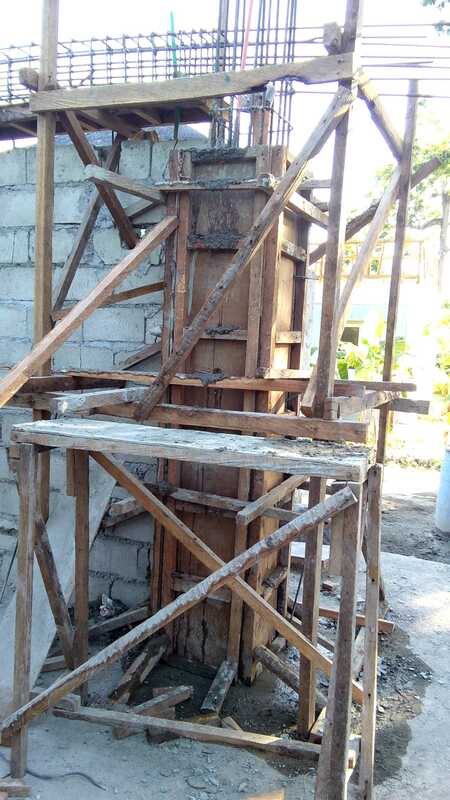 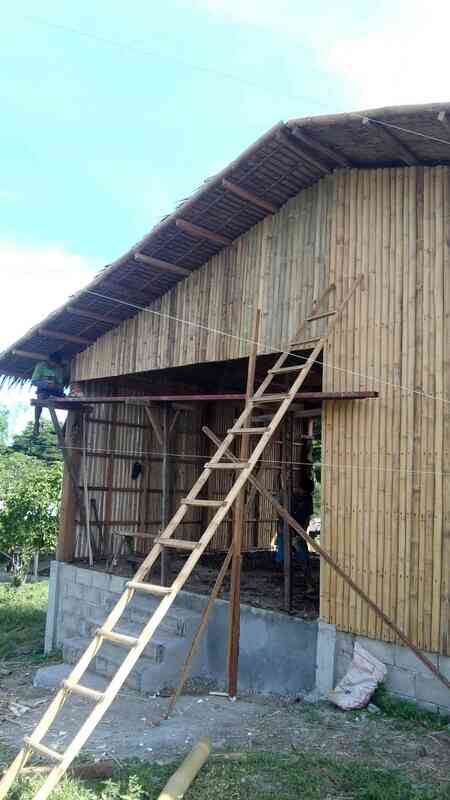 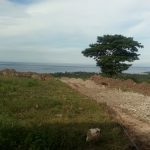 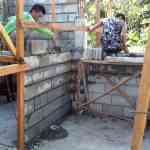 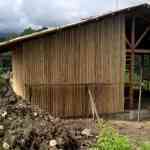 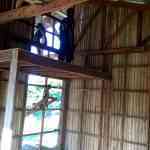 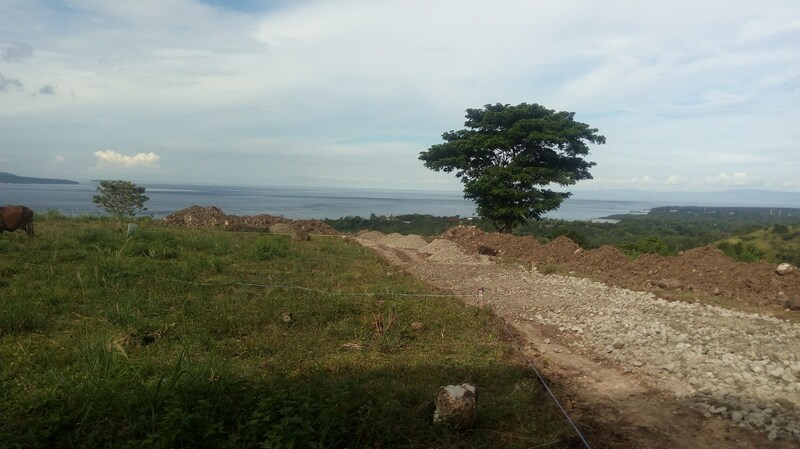 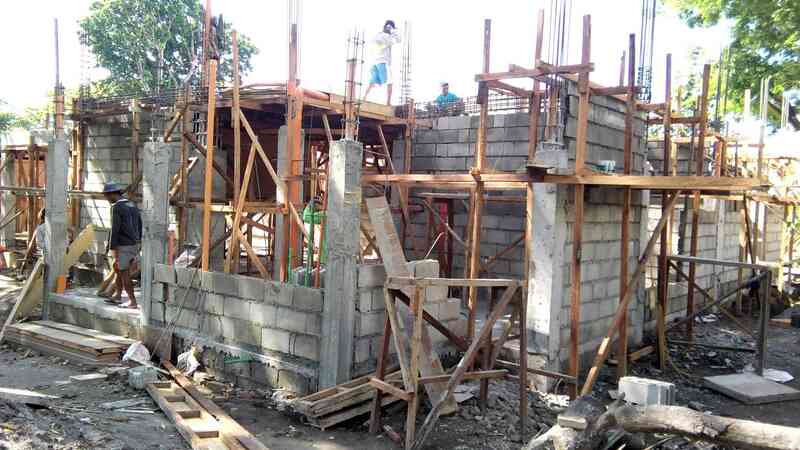 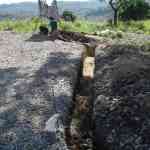 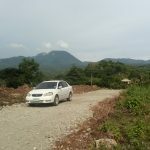 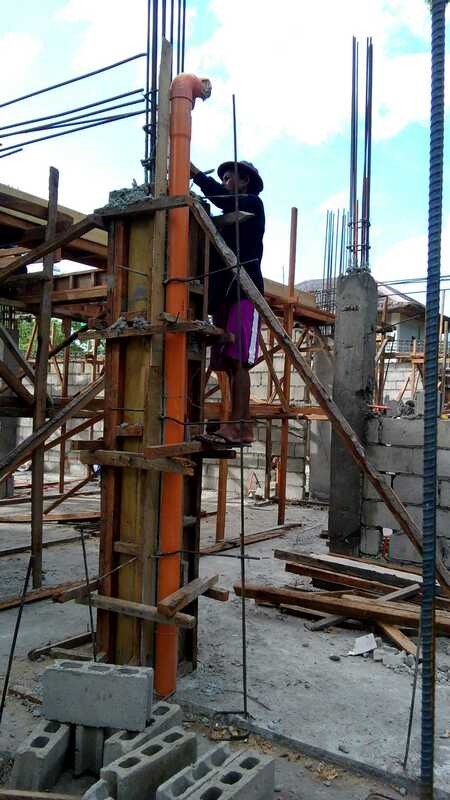 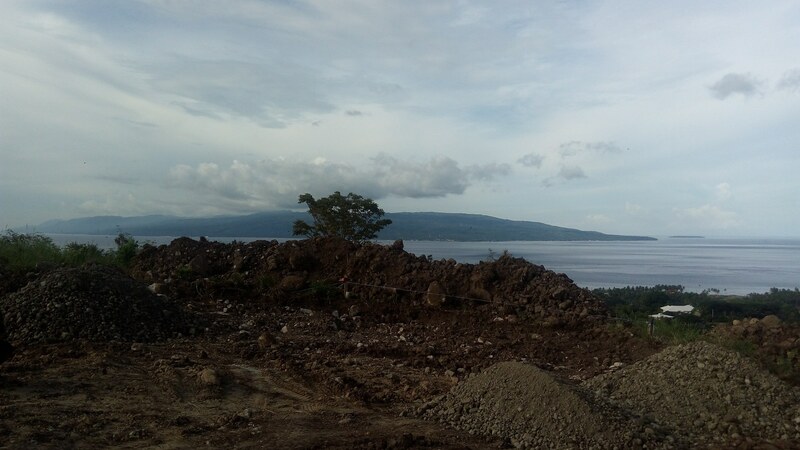 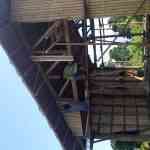 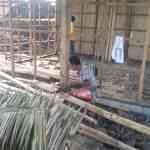 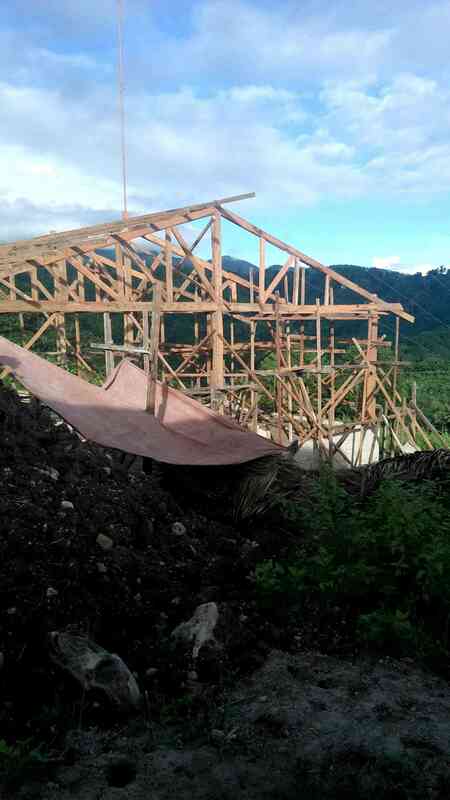 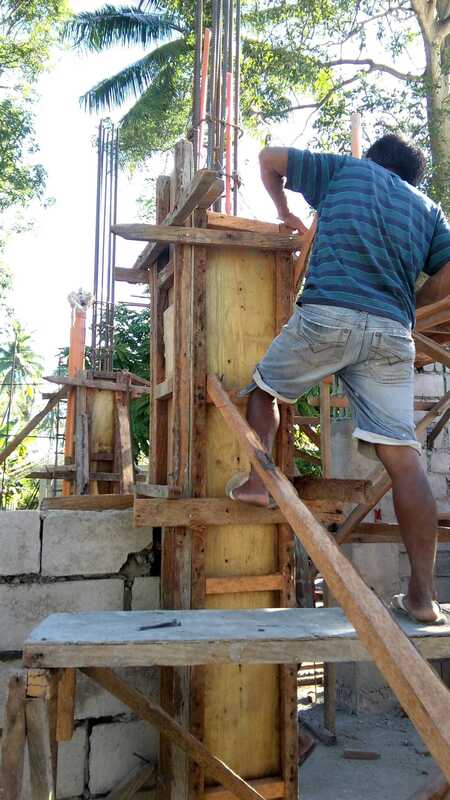 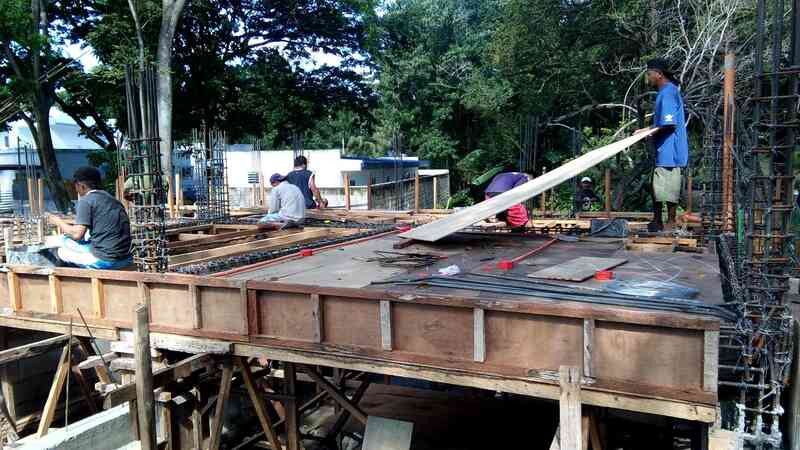 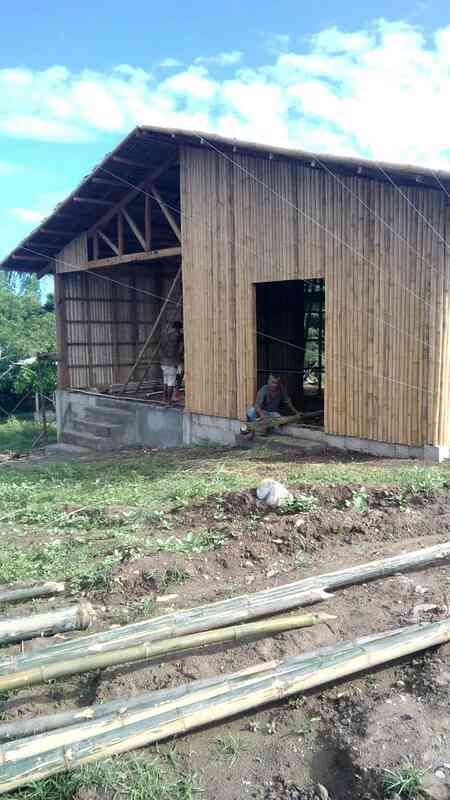 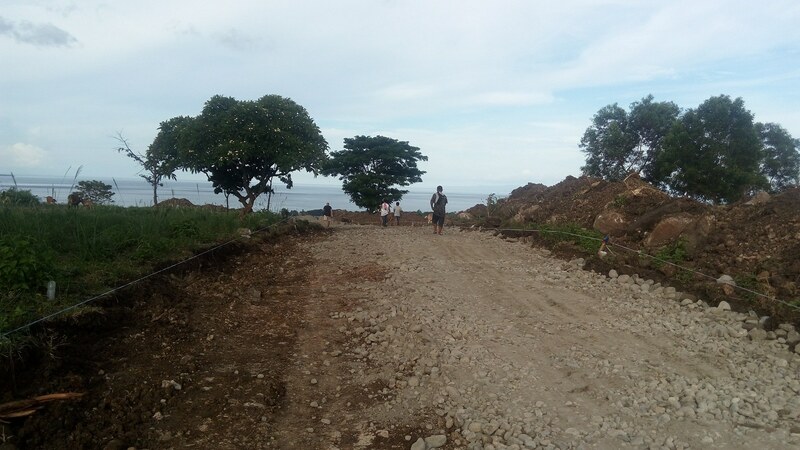 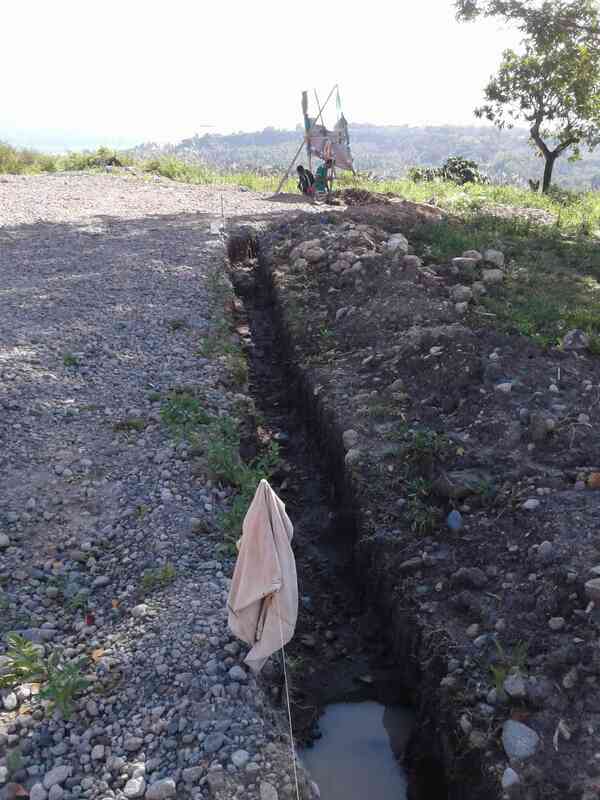 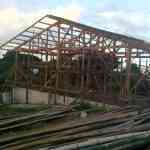 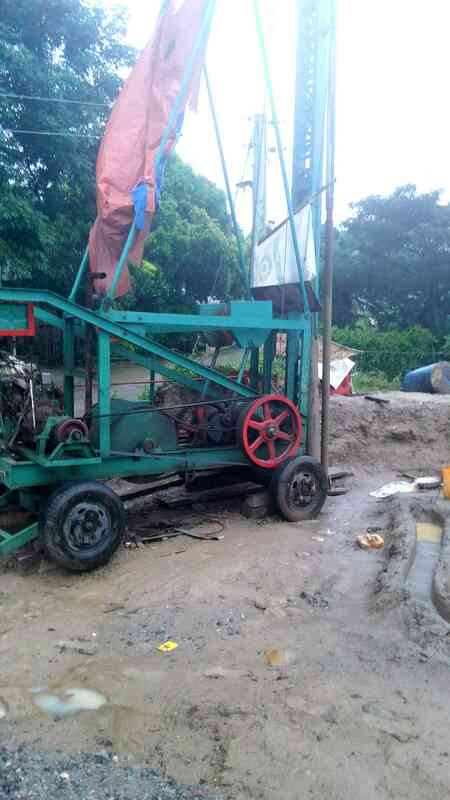 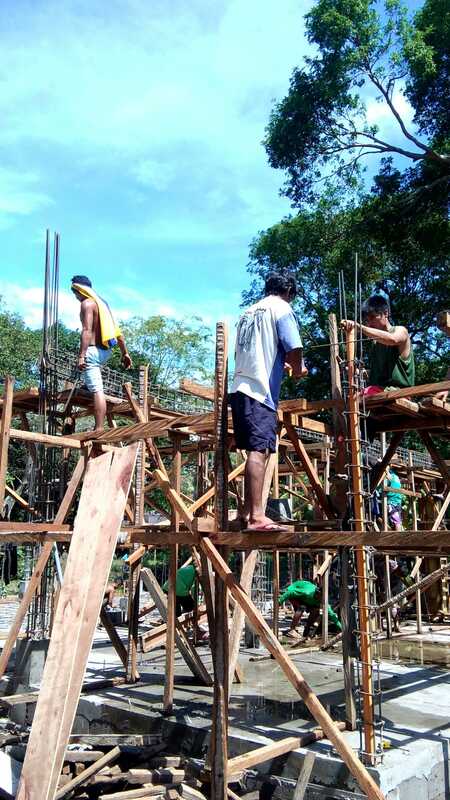 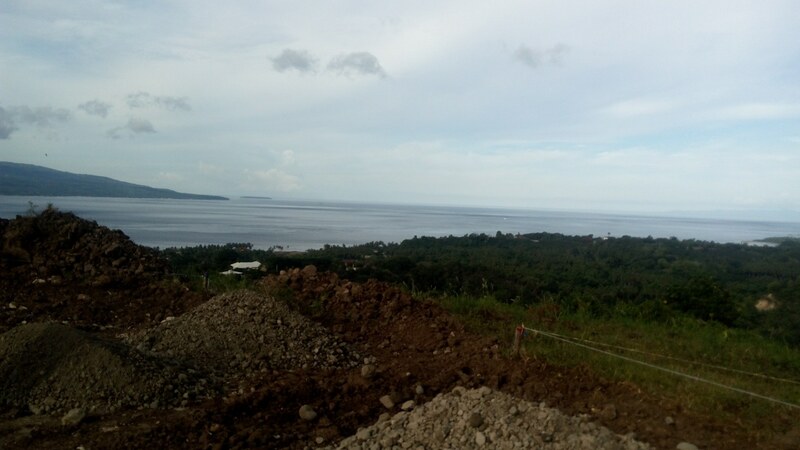 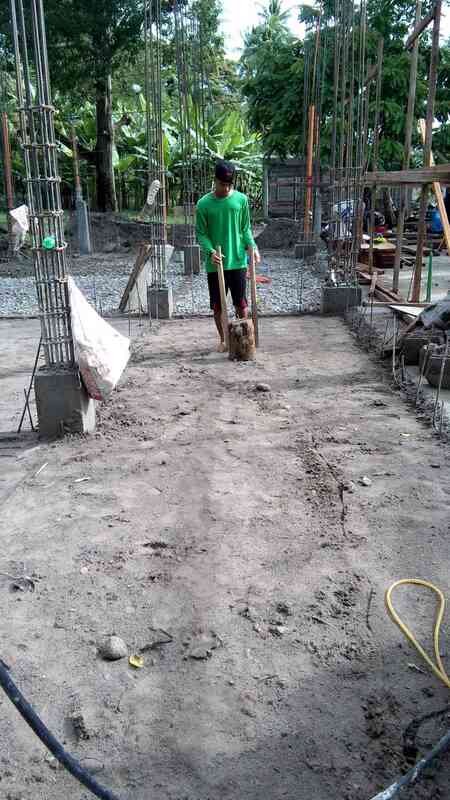 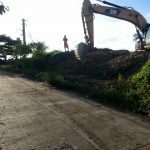 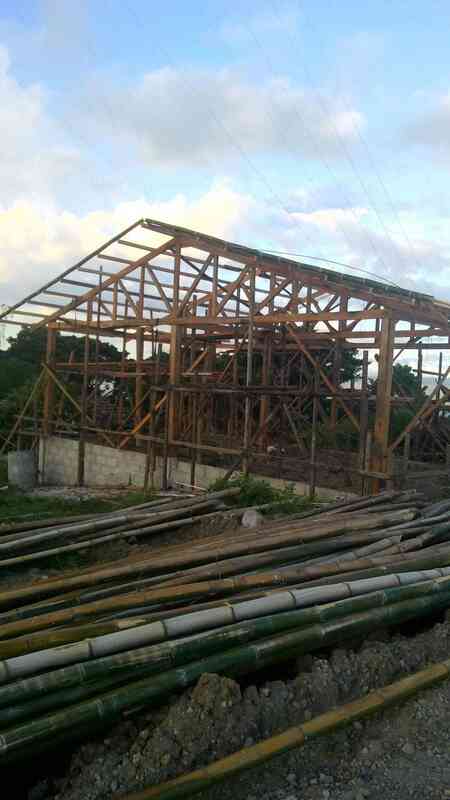 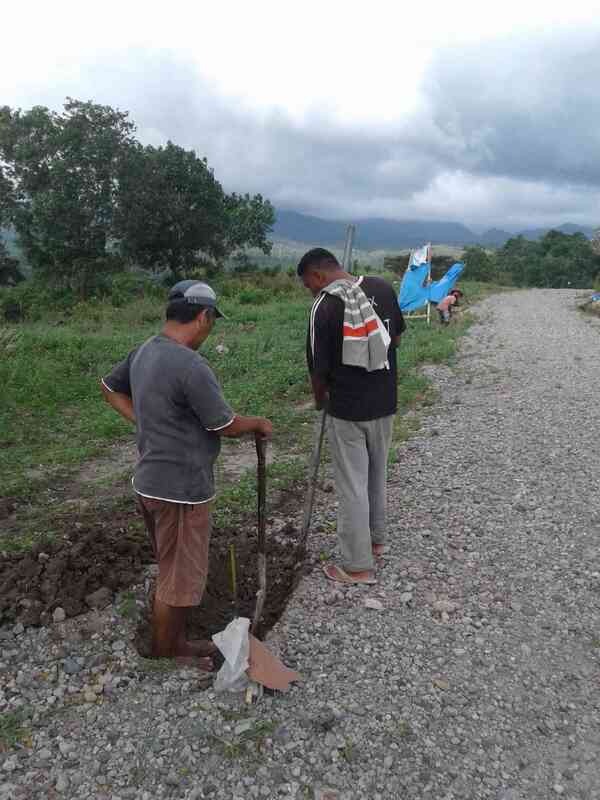 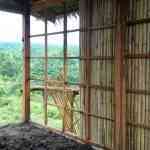 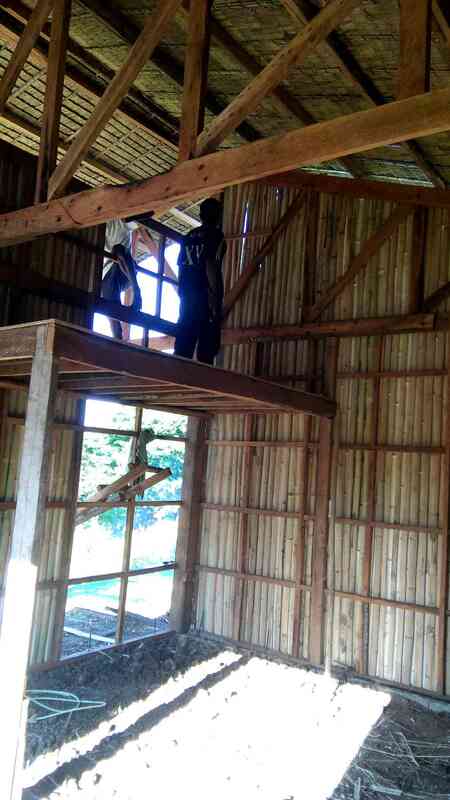 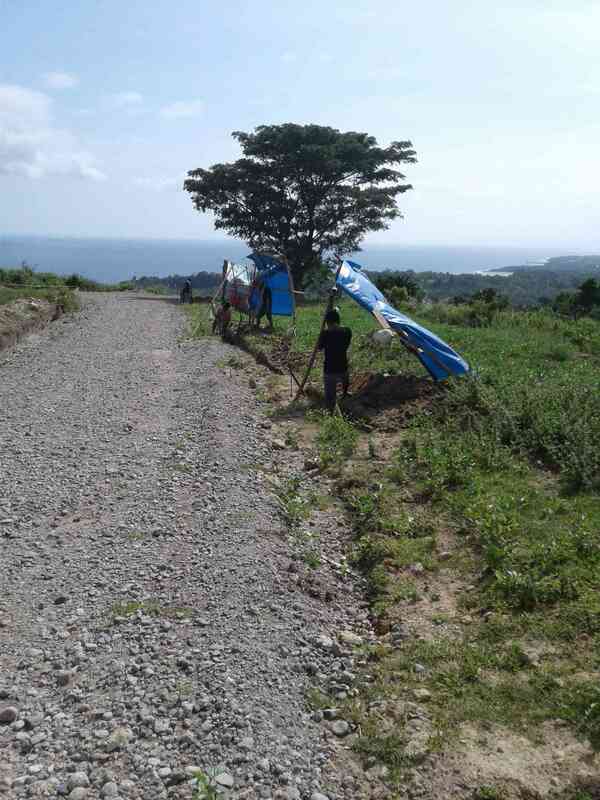 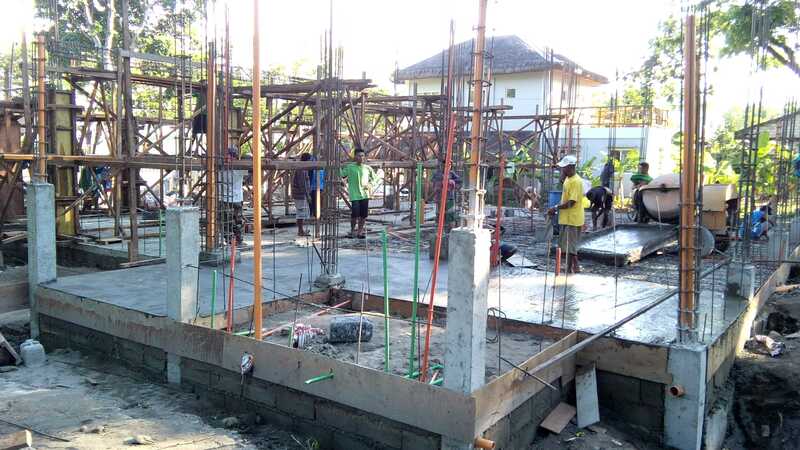 This was done by our surveyor Josh Cabio from I-Sukod. 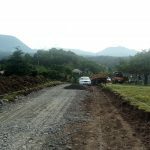 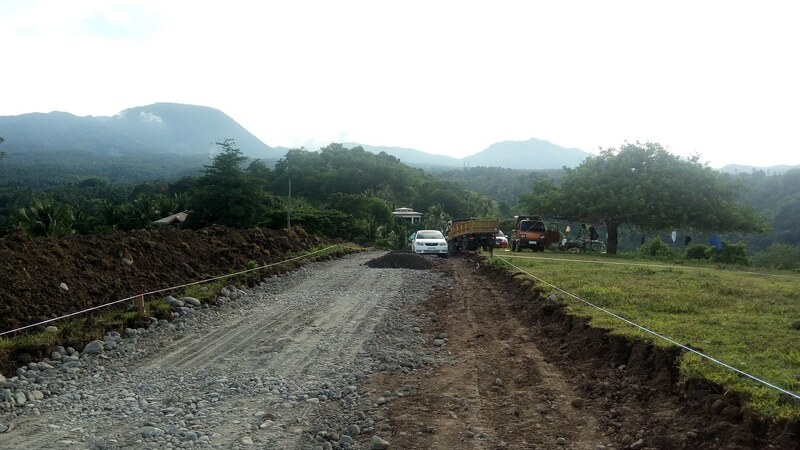 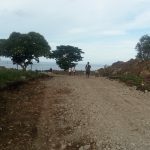 We then got heavy equipment in and cut out where the road was going then put in the gravel bed consisting of several different layers of gravel. 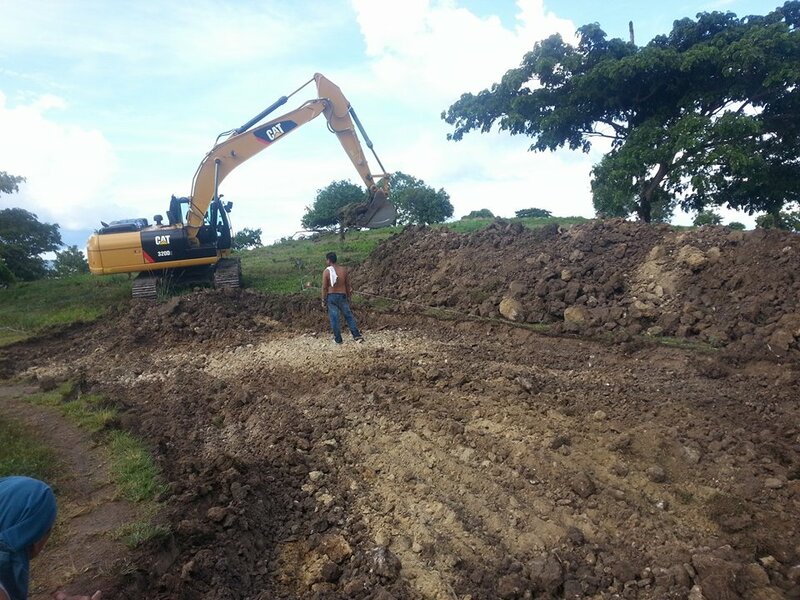 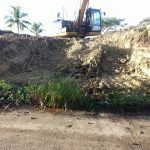 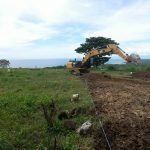 While the heavy equipment was on site, we had them excavate where our future water reservoir and pump house would be going. 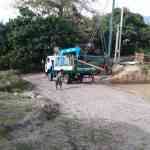 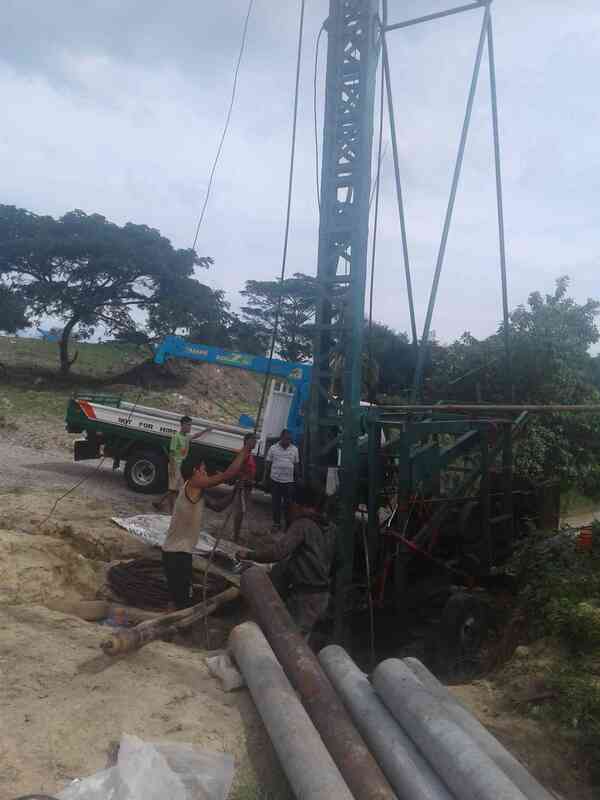 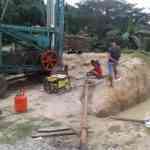 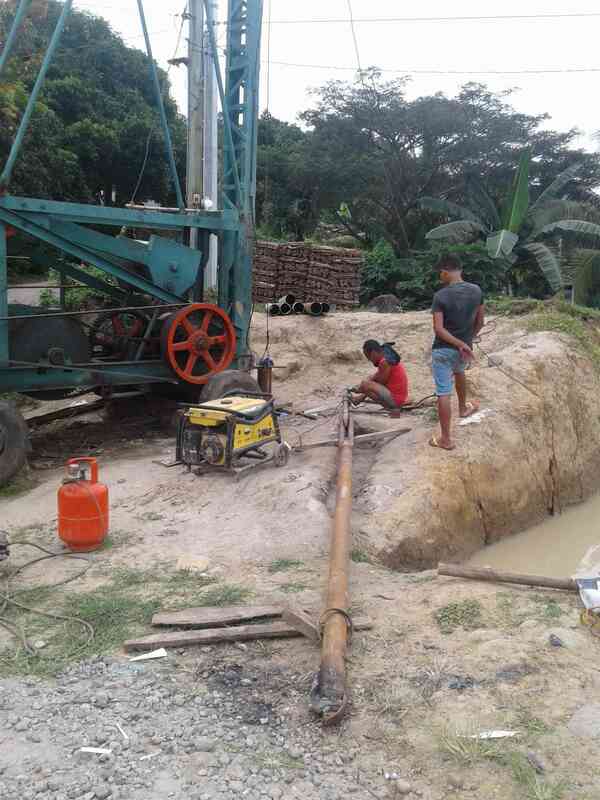 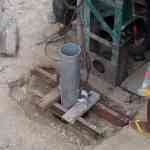 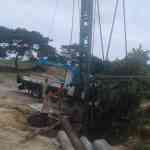 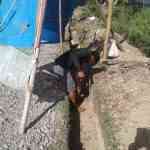 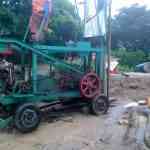 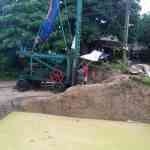 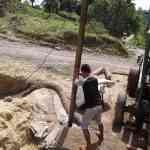 We then contracted to have a well dug by Ric Rose Drilling. 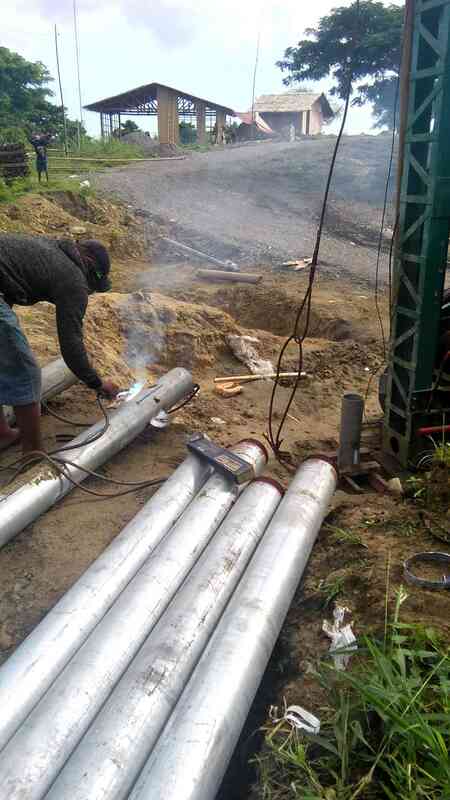 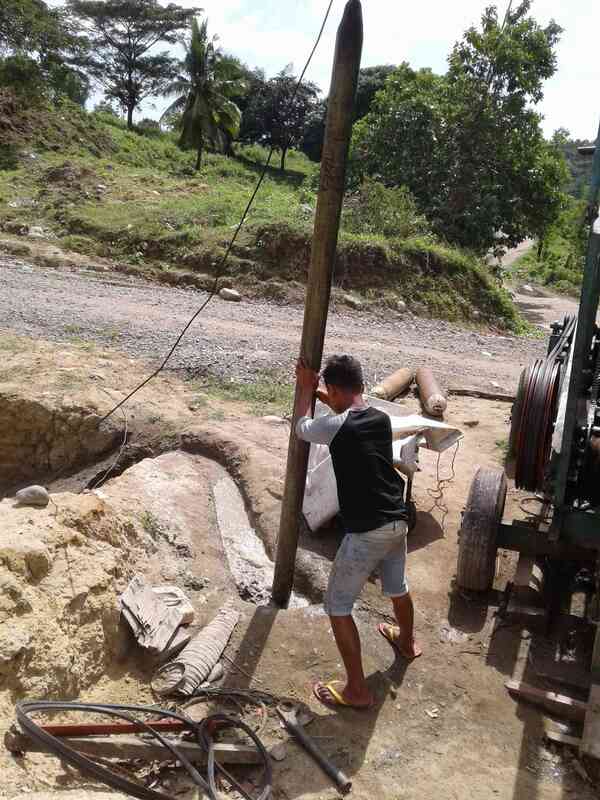 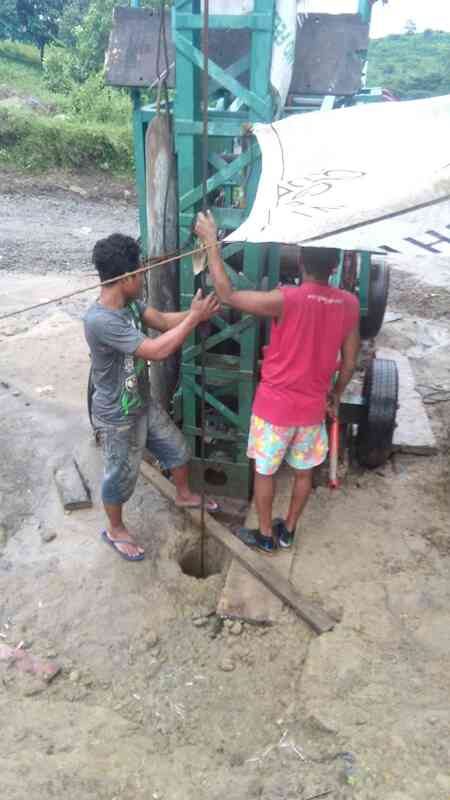 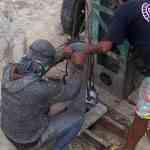 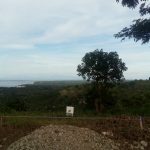 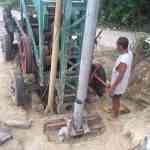 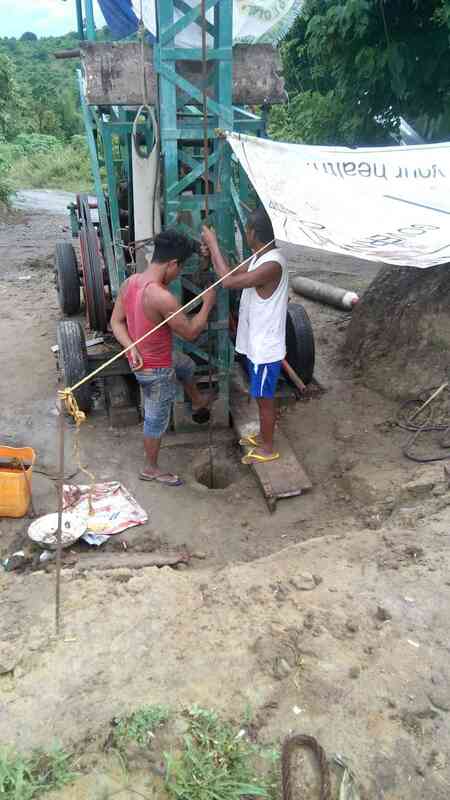 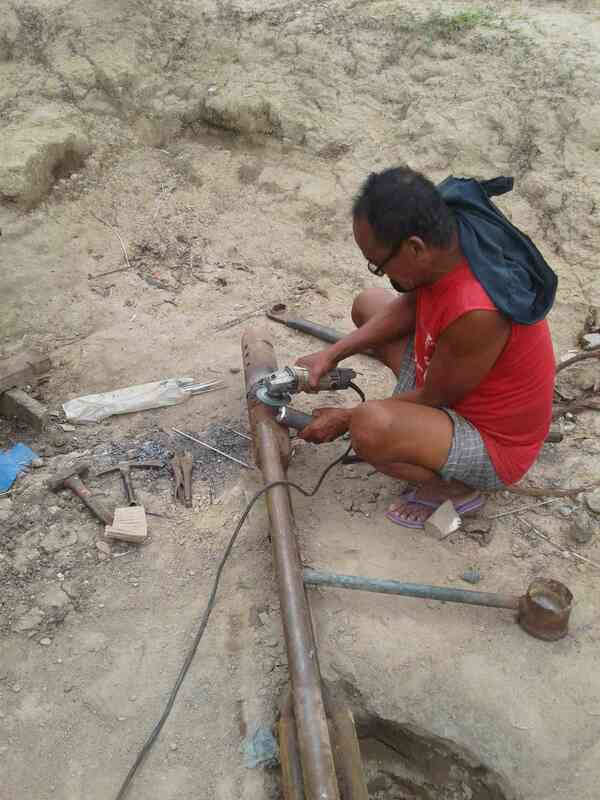 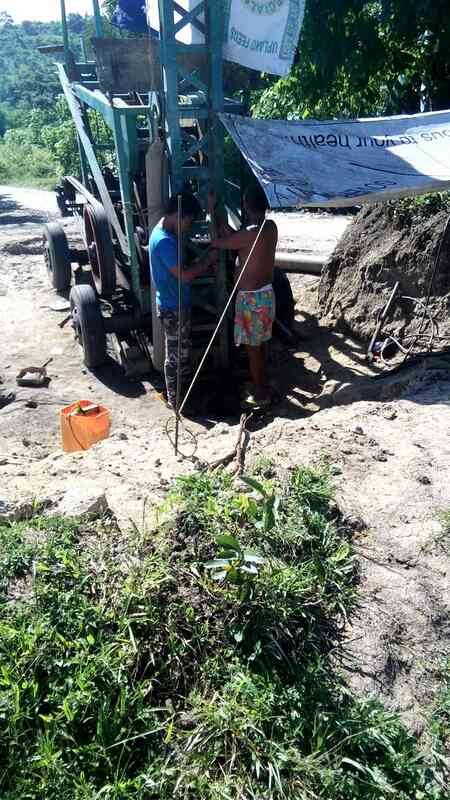 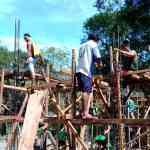 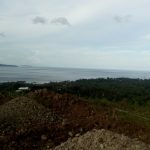 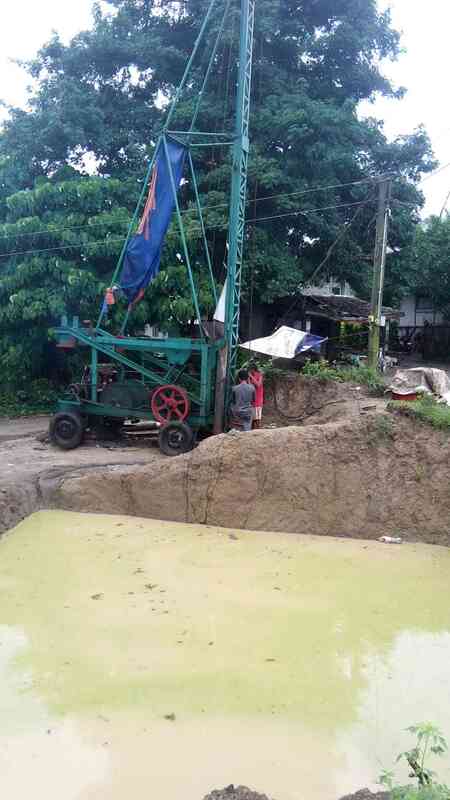 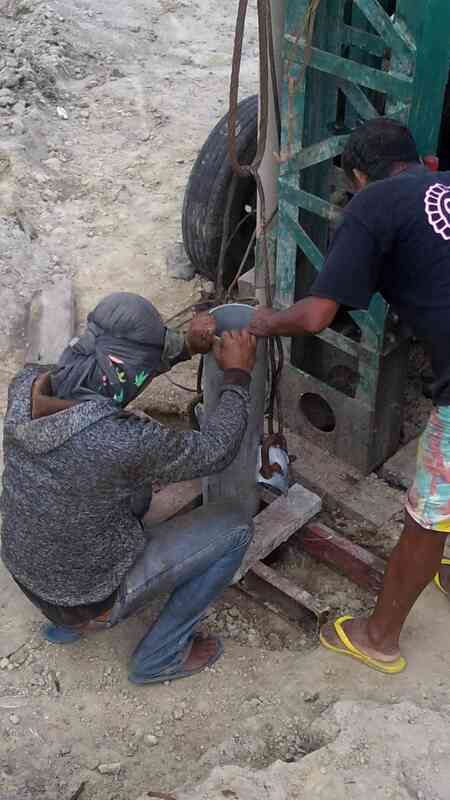 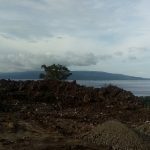 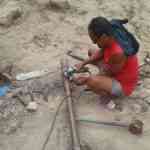 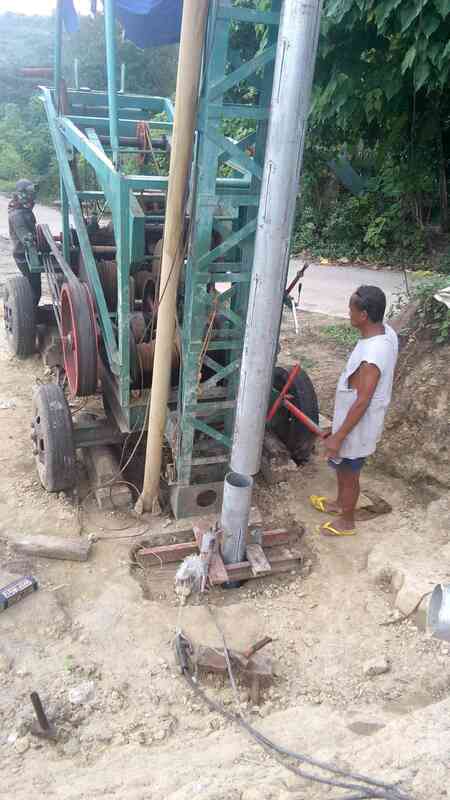 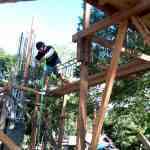 Using a circa 1950 rig (considered modern here in Negros Oriental), he went down to approximately 450 feet. 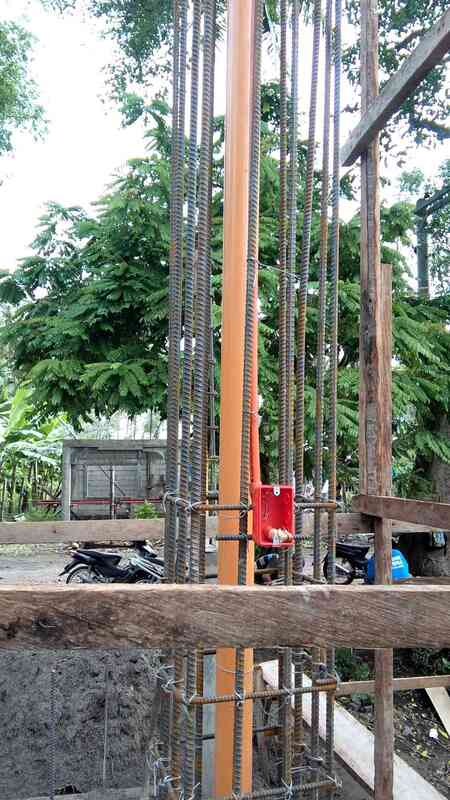 Casement, pump, piping and electrical supply lines were installed and the well capped off until the reservoir and pump house are completed. 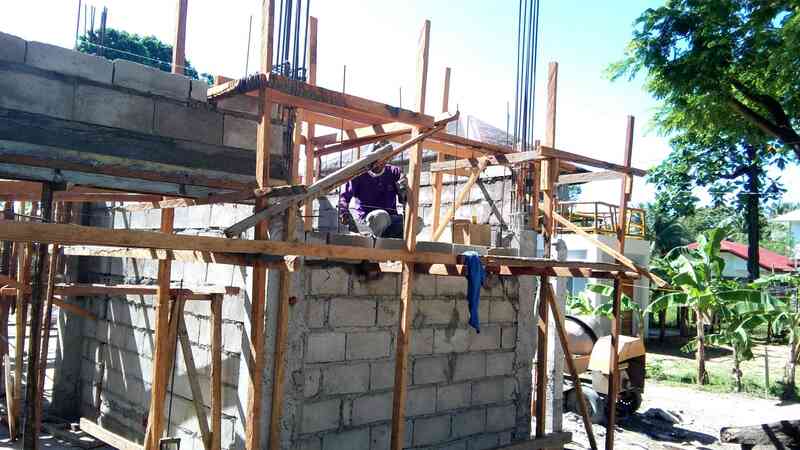 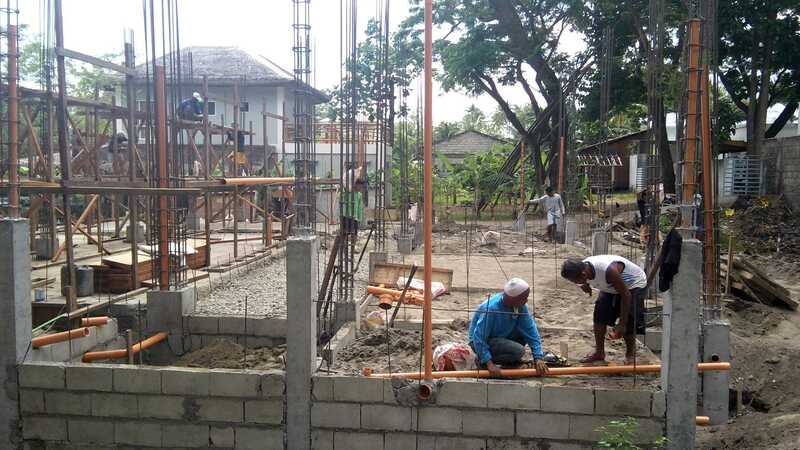 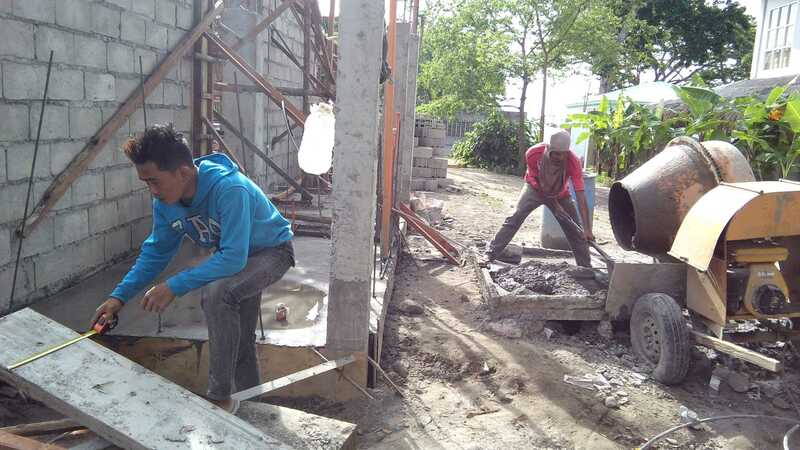 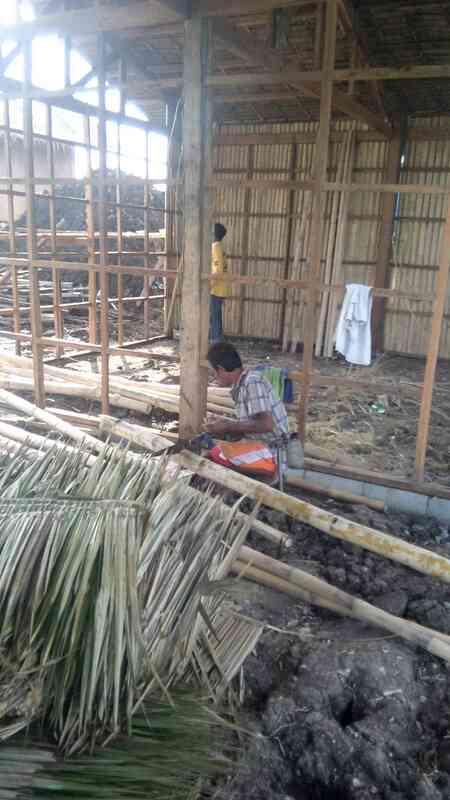 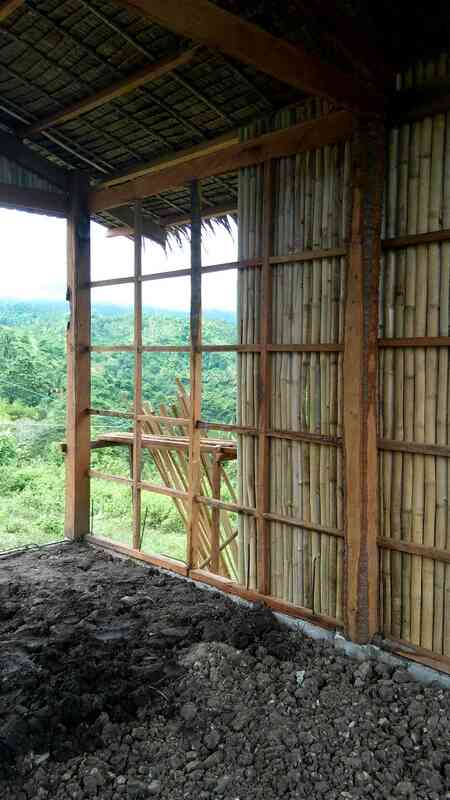 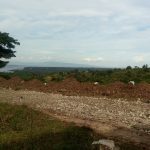 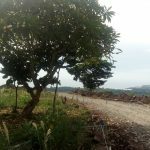 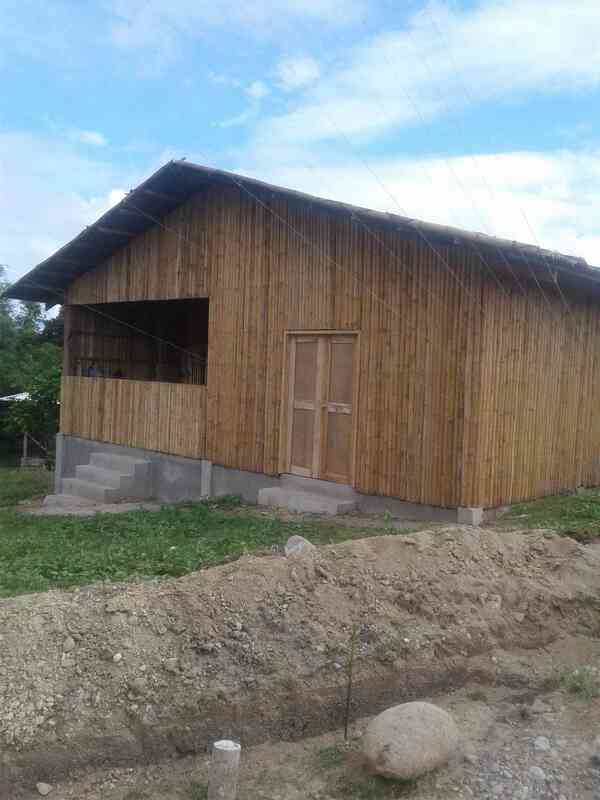 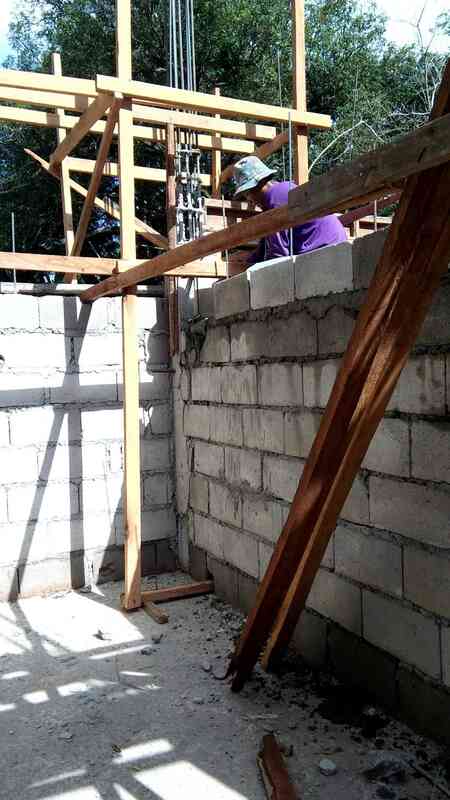 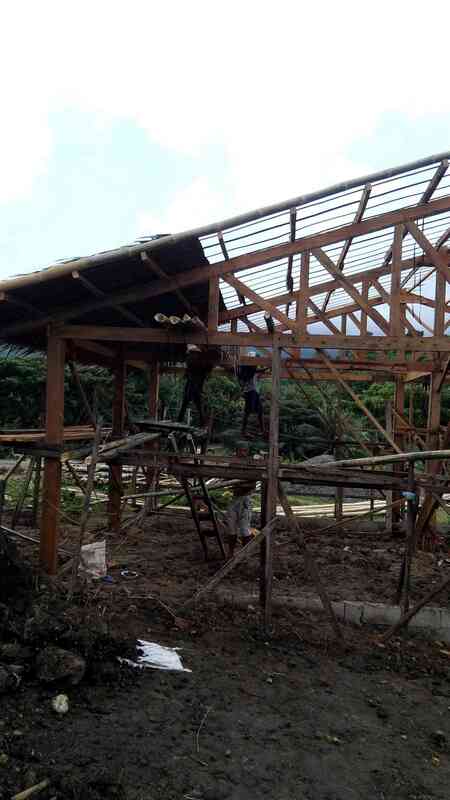 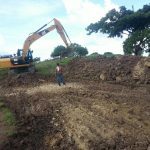 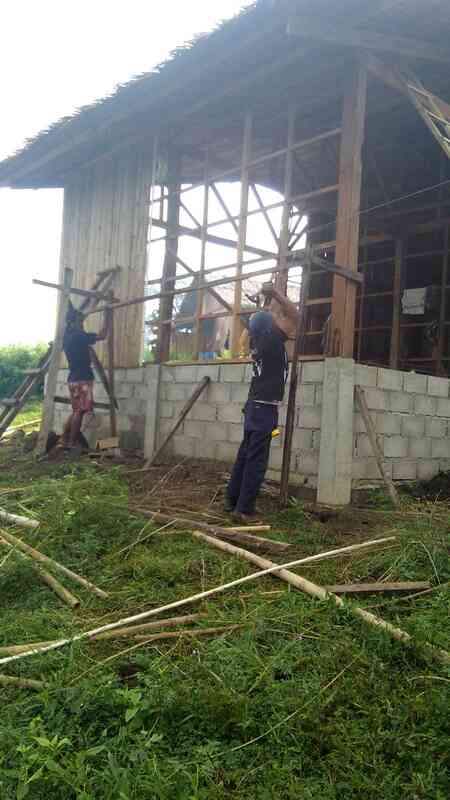 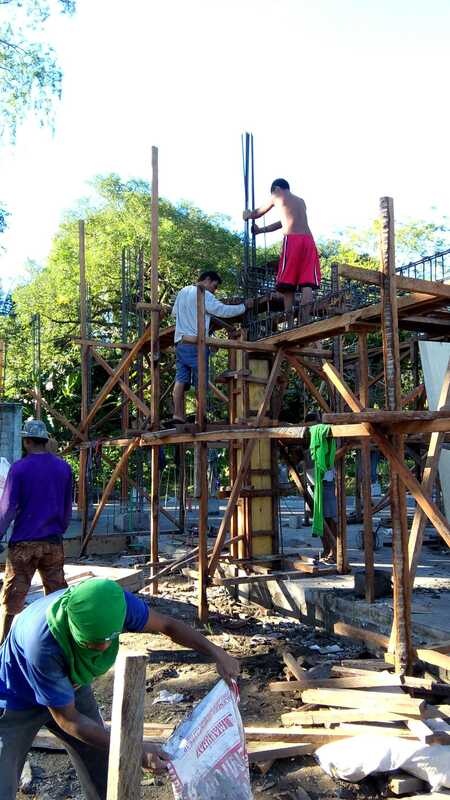 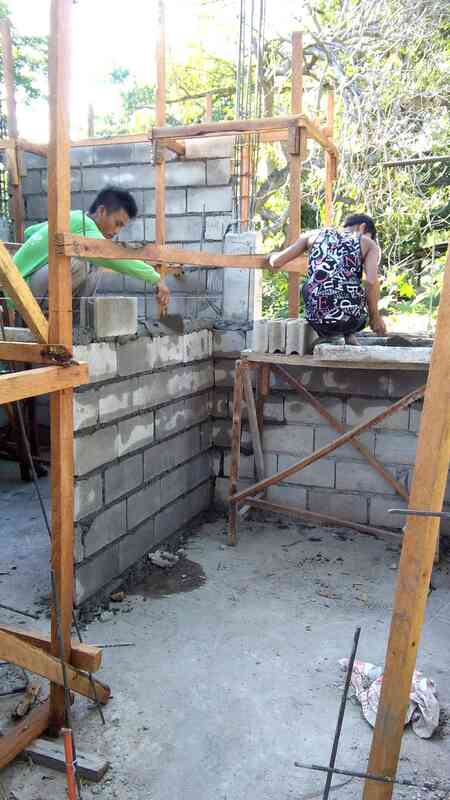 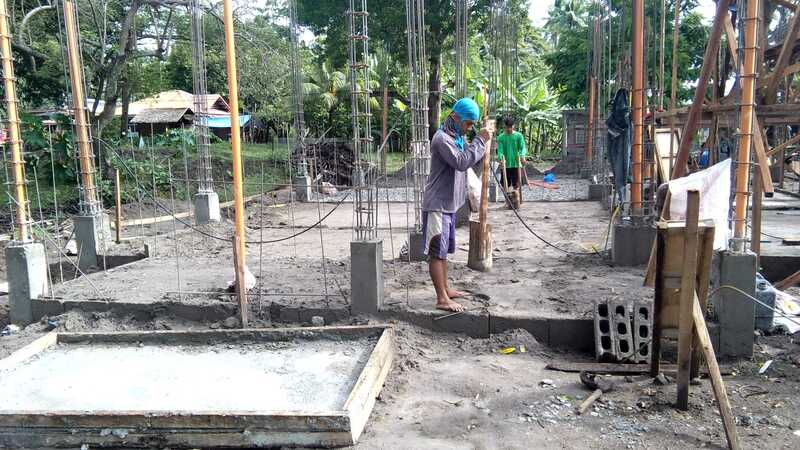 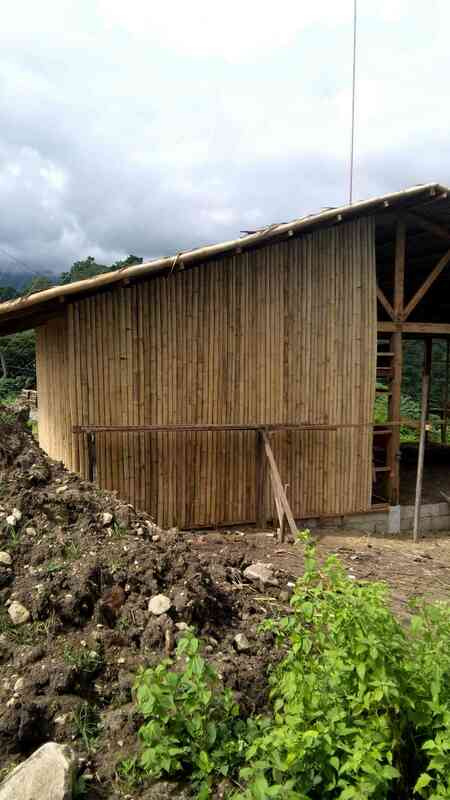 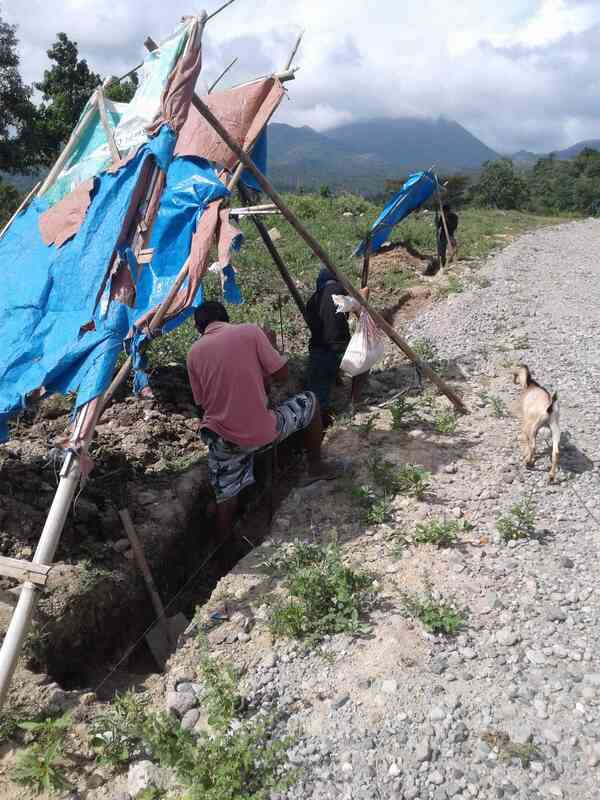 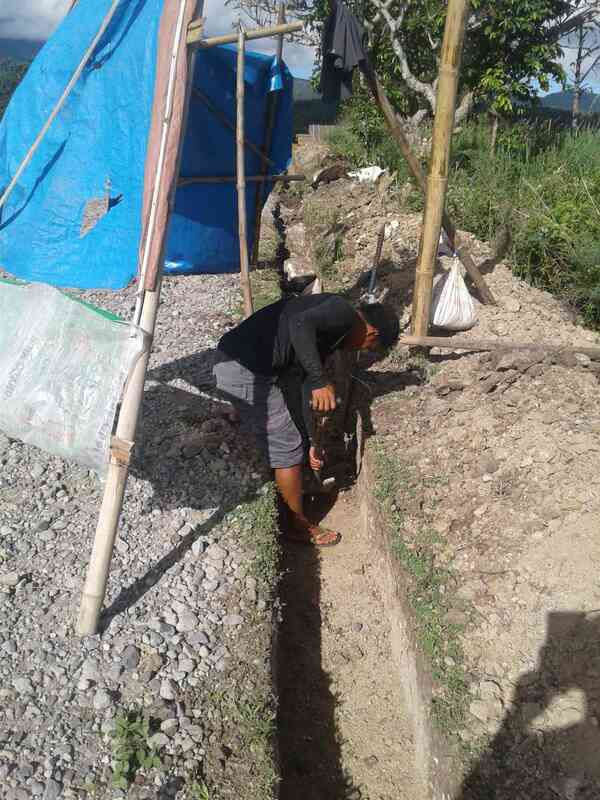 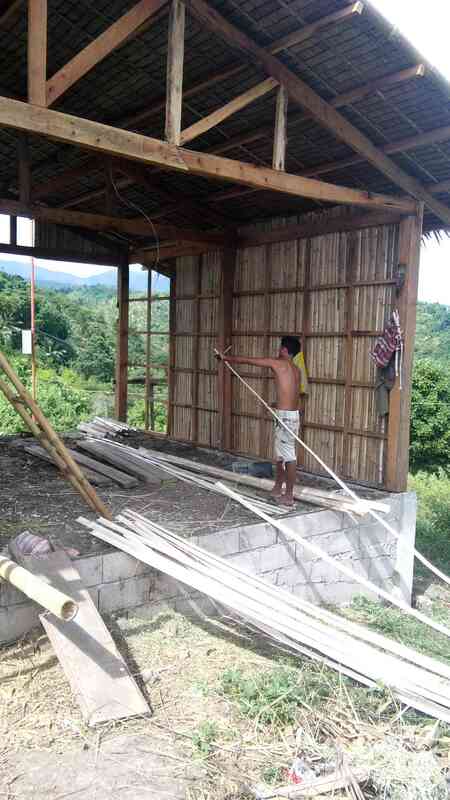 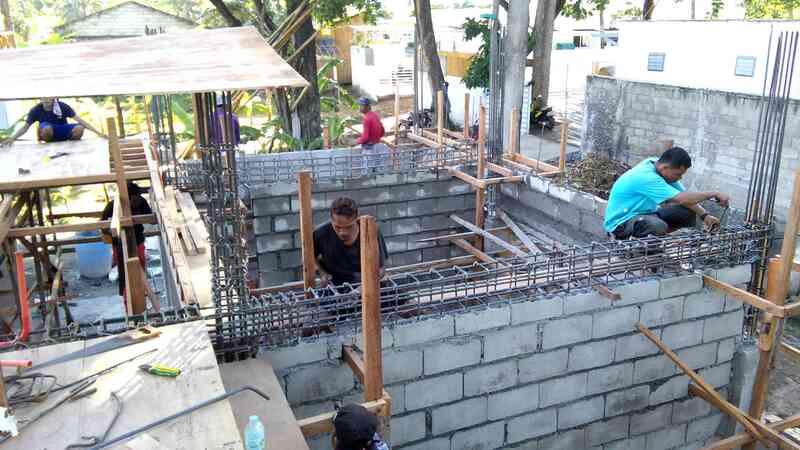 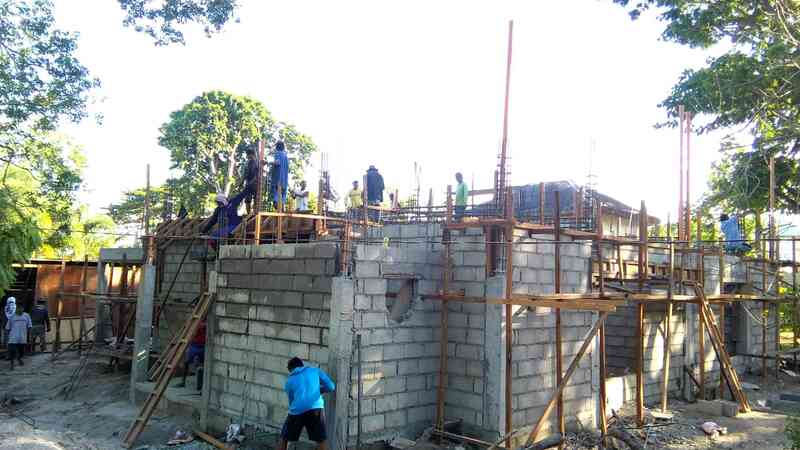 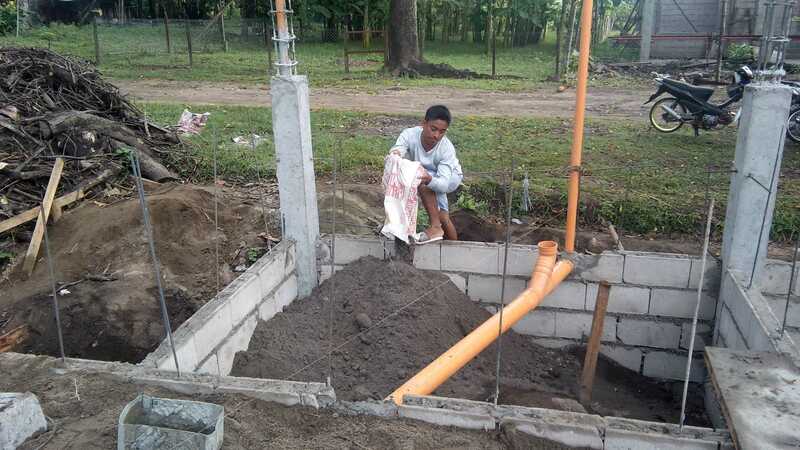 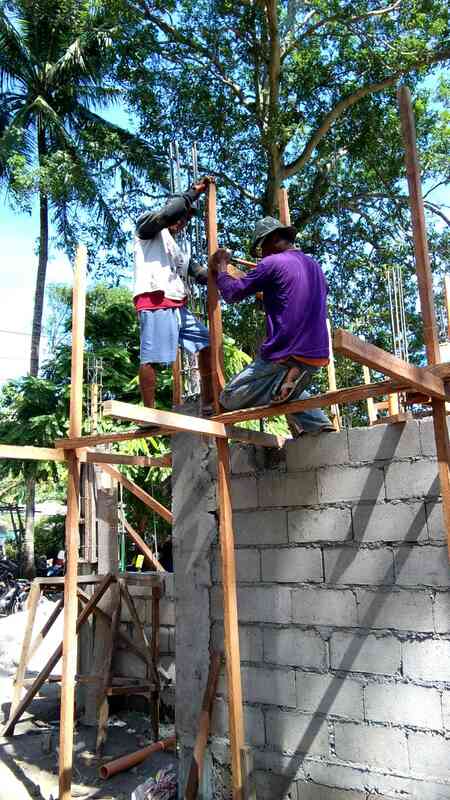 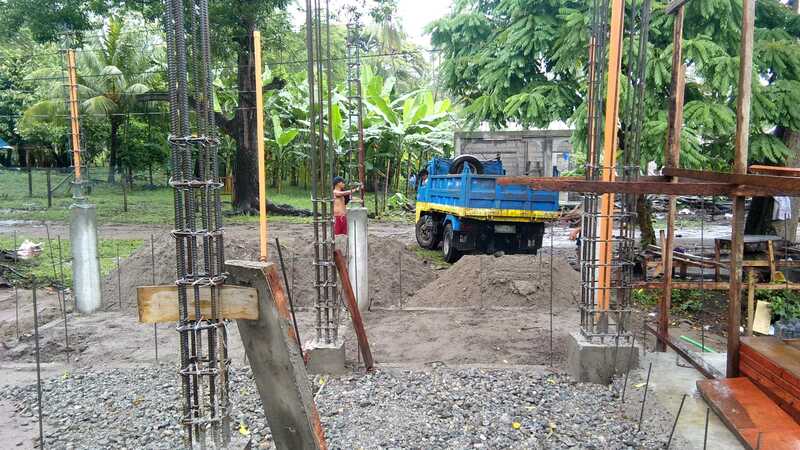 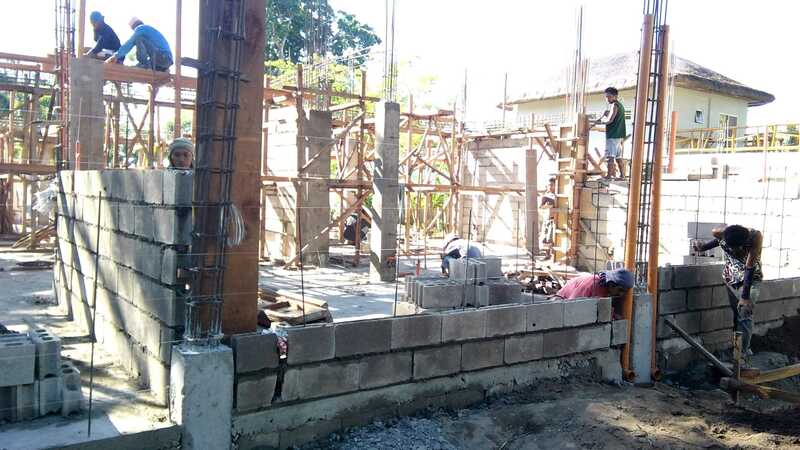 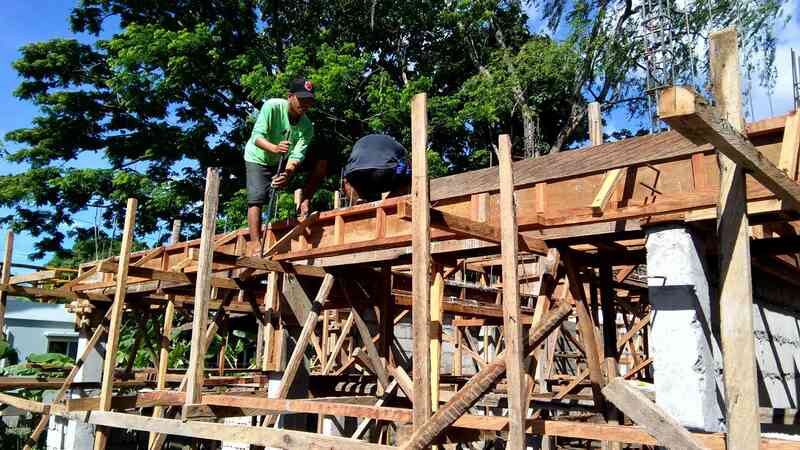 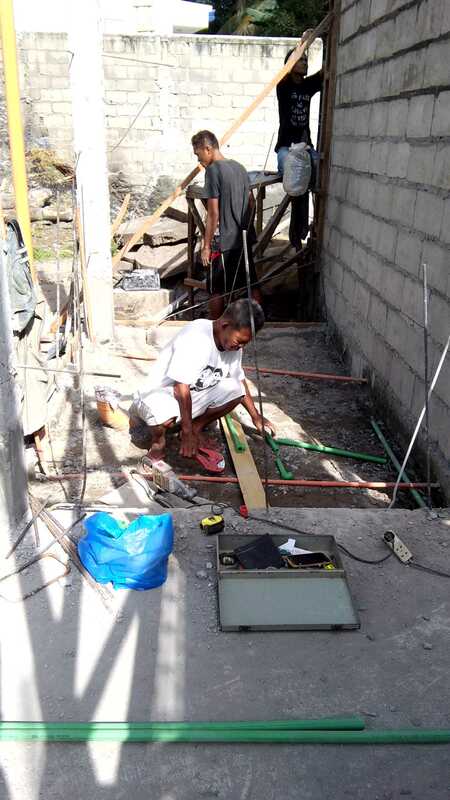 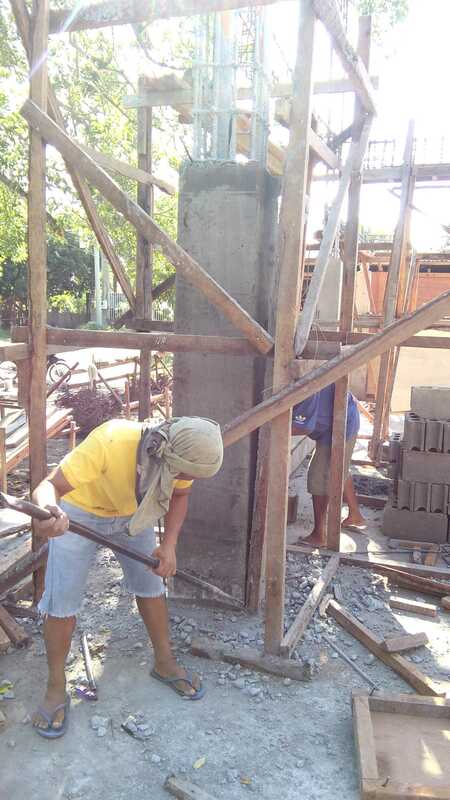 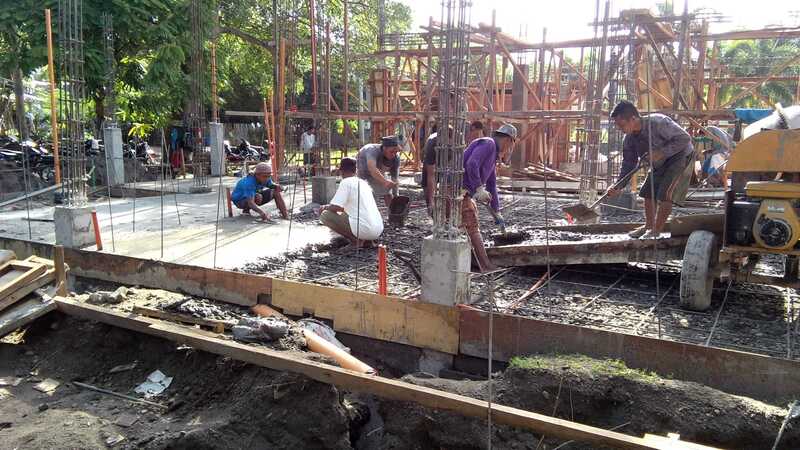 While the well was being dug, our own workers built a large storage shed and wood-shop which we will use for the ongoing construction of the planned 20-25 homes we intend to build in this community. 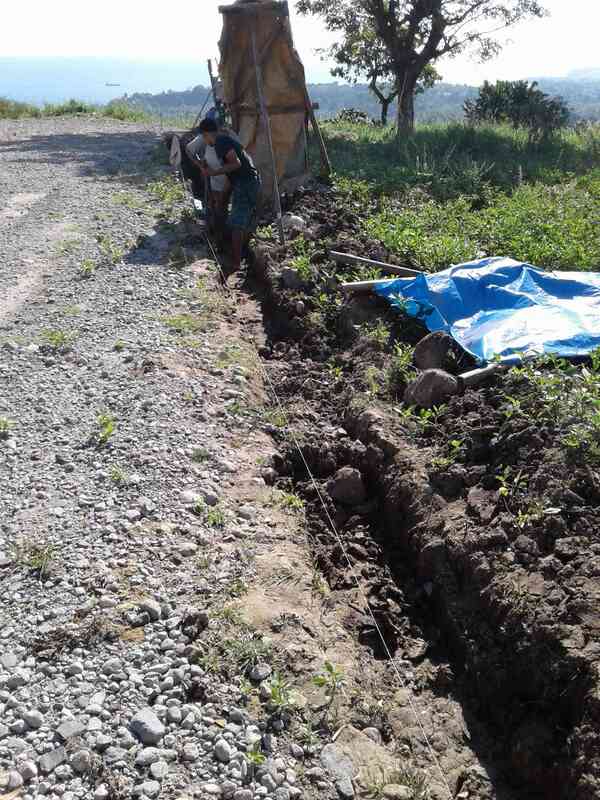 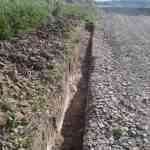 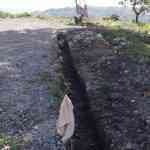 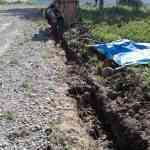 Currently we are trenching the site in order to lay out the underground water supply system and power supply. 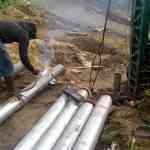 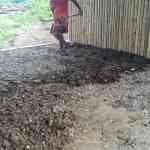 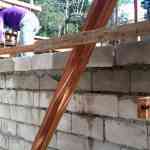 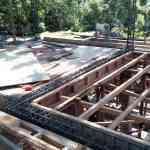 On the floor, we first roughed in all the plumbing pipes and electrical conduits, then we back-filled and compacted. 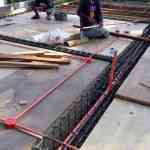 After compaction we laid out and tied our 10mm reinforcing steel matting. 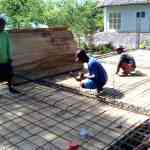 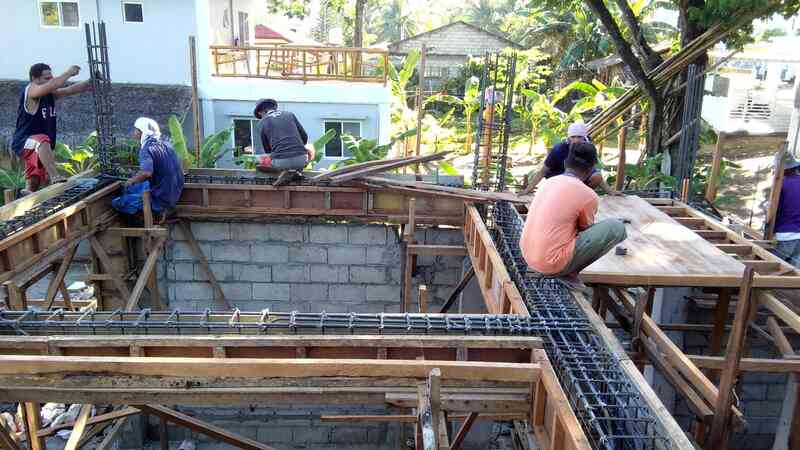 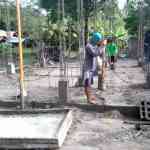 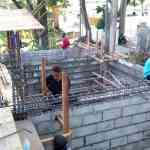 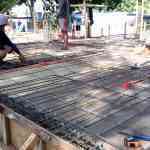 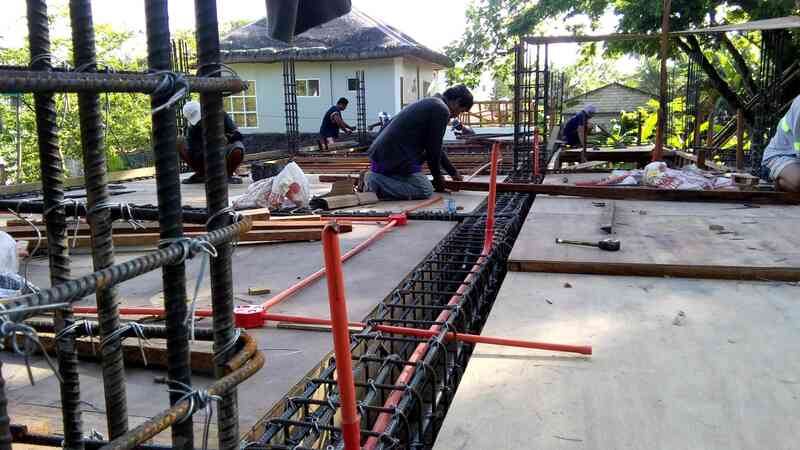 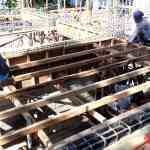 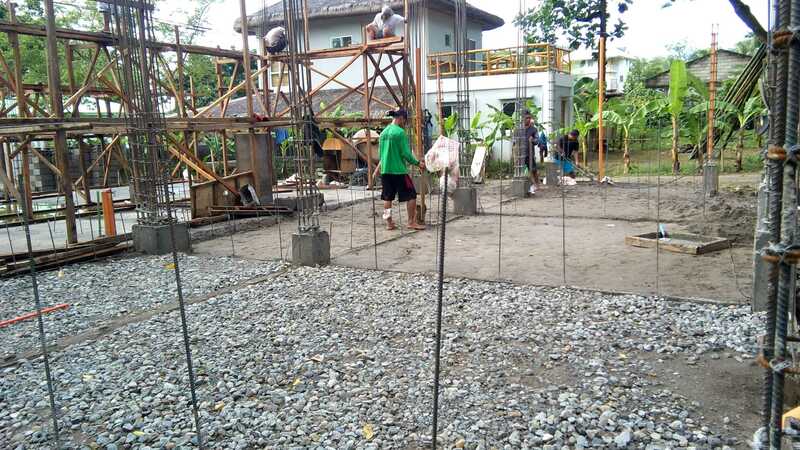 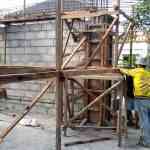 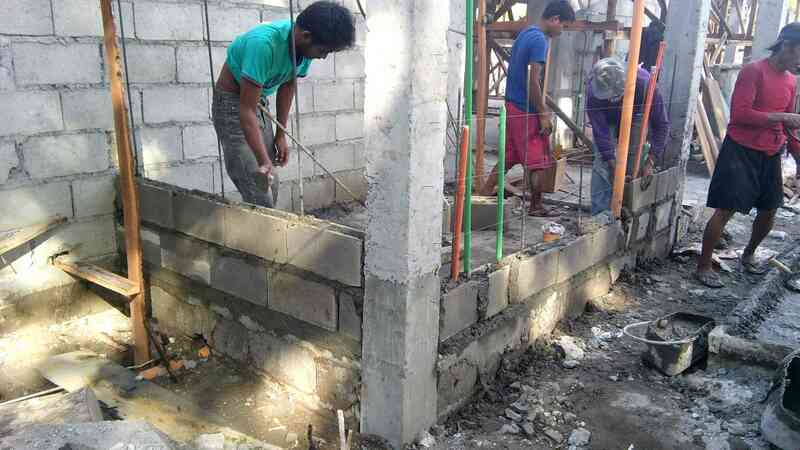 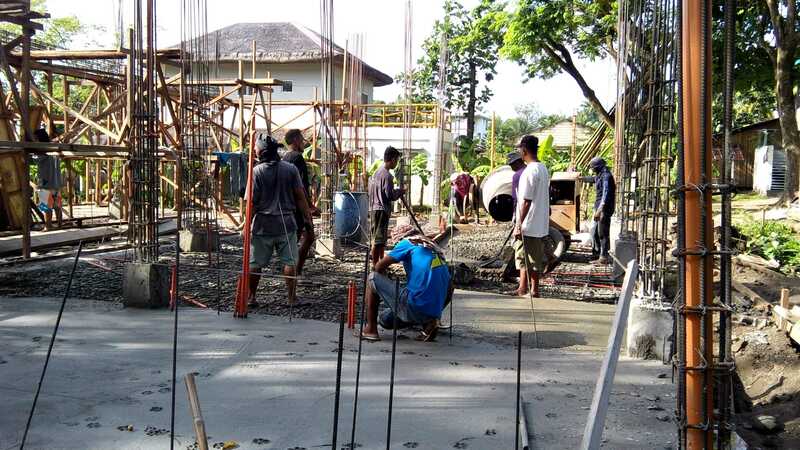 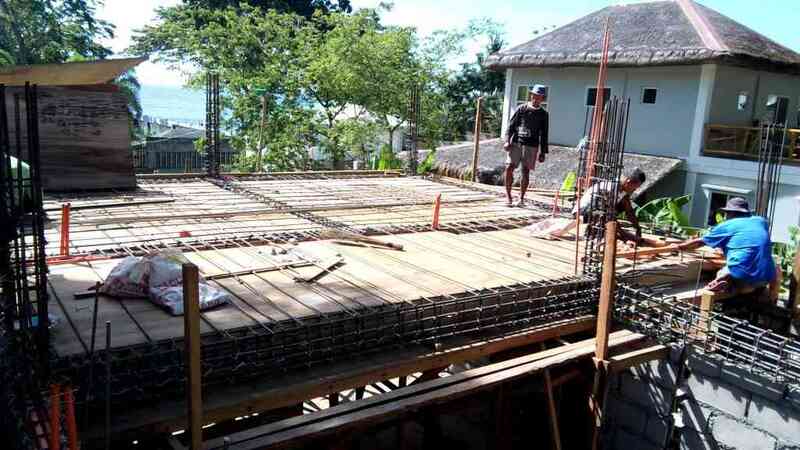 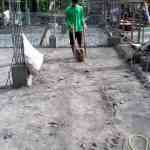 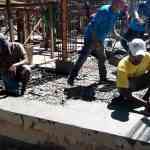 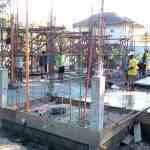 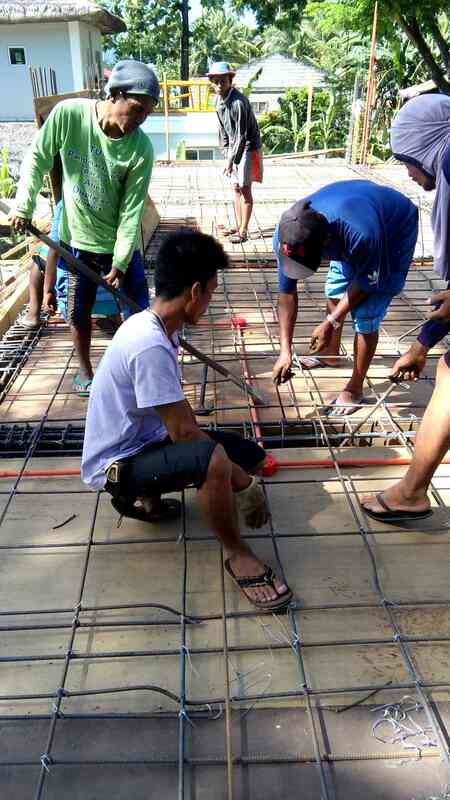 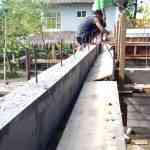 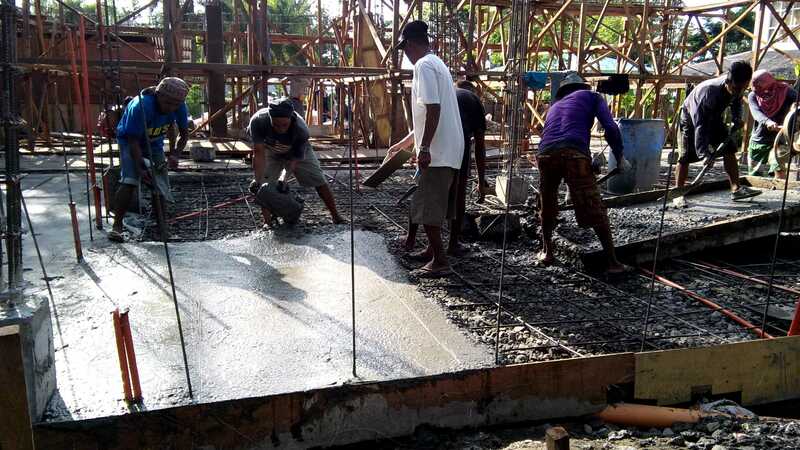 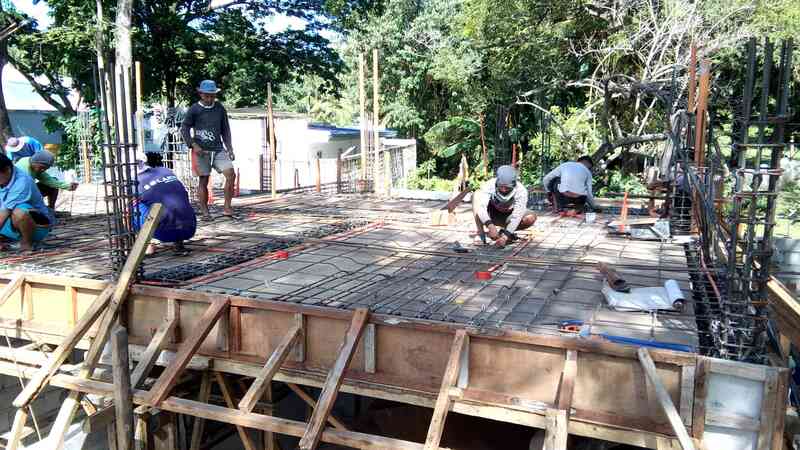 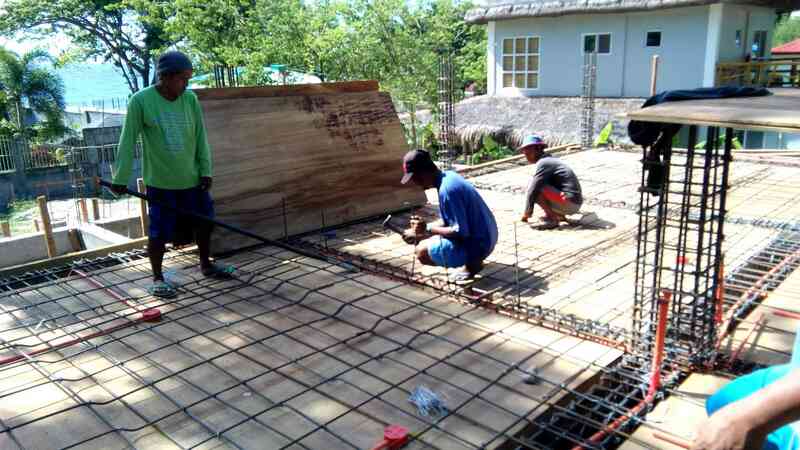 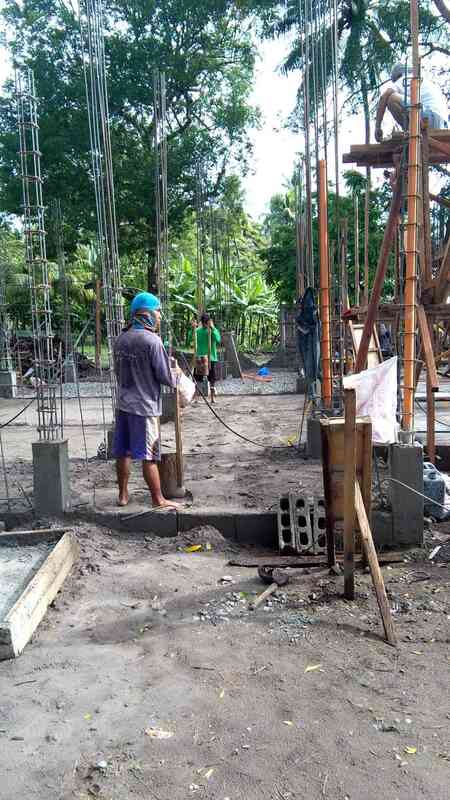 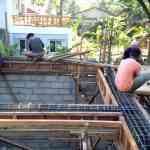 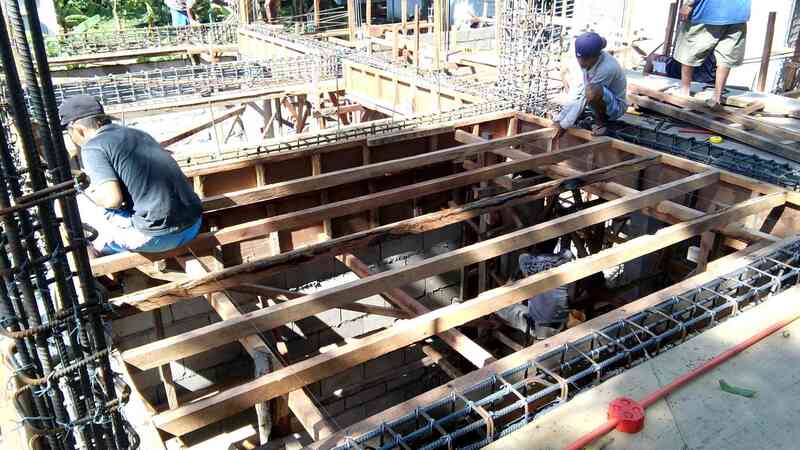 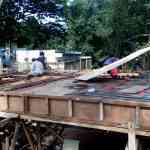 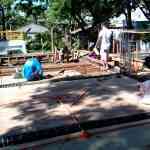 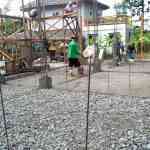 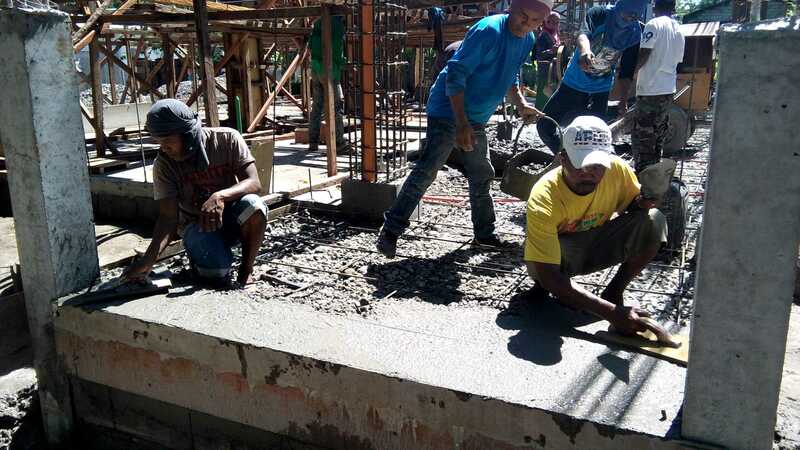 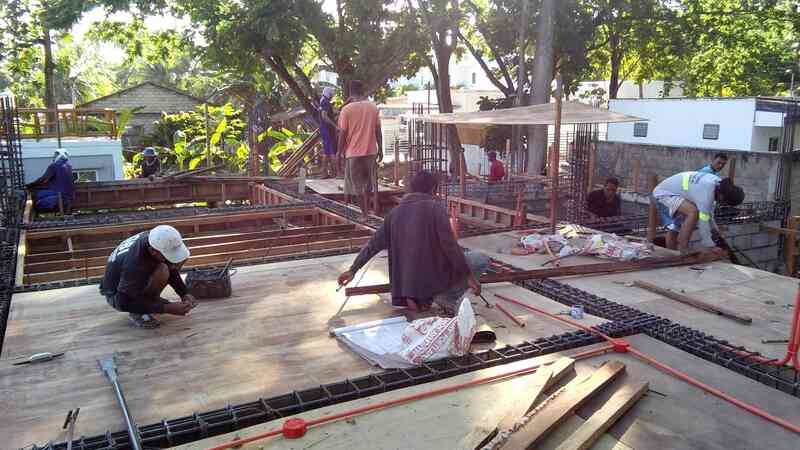 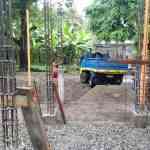 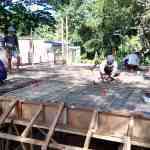 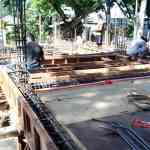 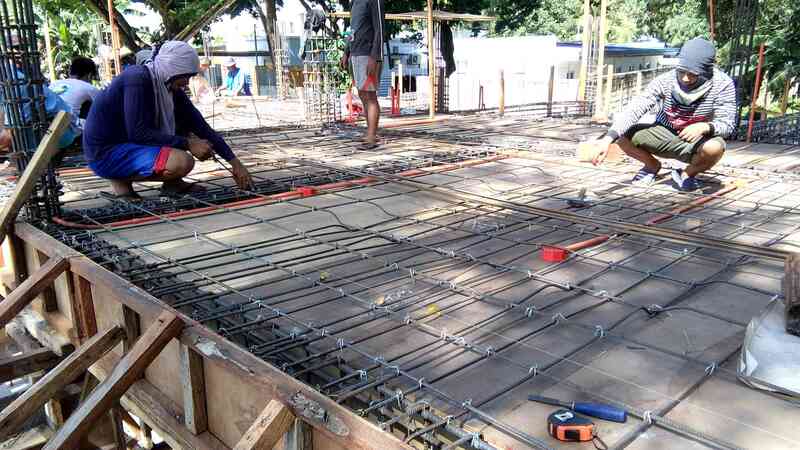 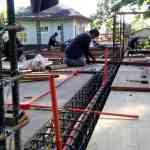 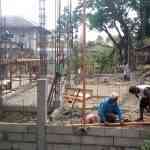 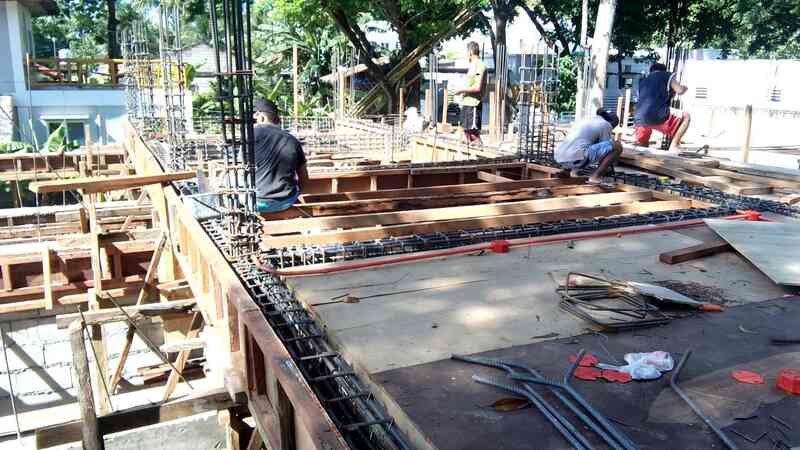 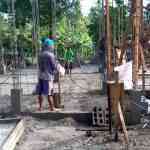 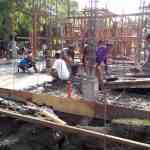 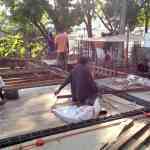 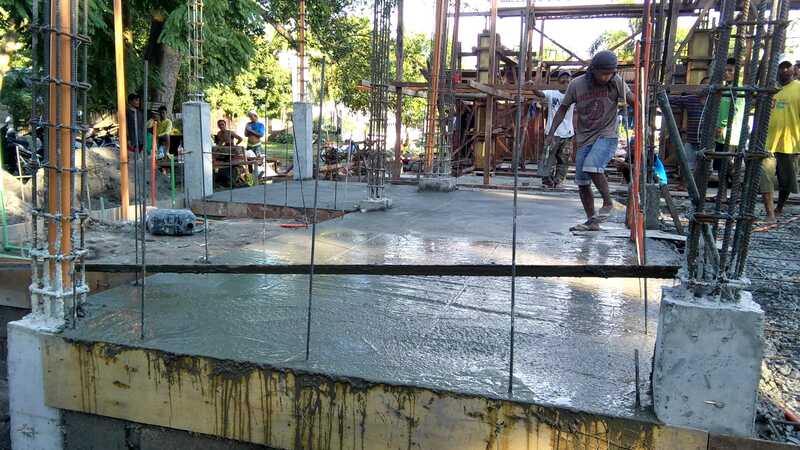 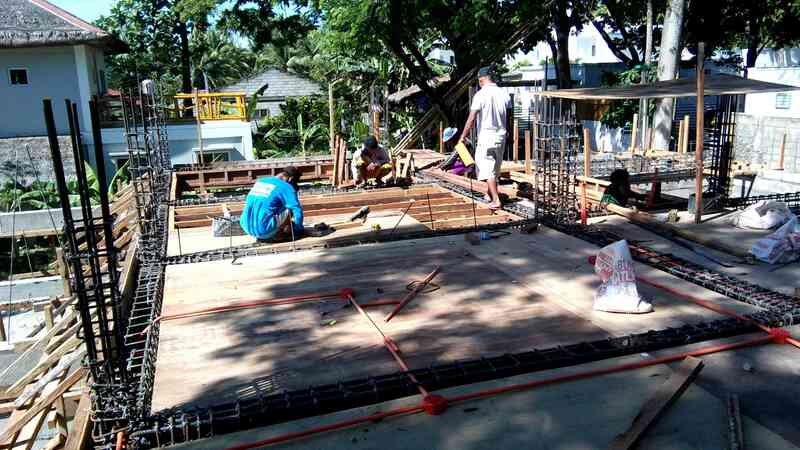 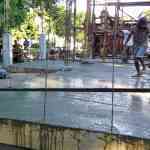 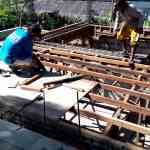 Once that was complete, we poured our floor slab on grade. 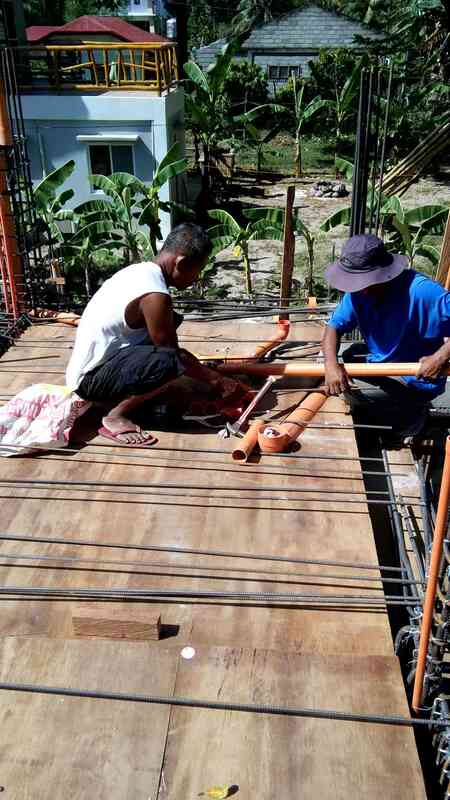 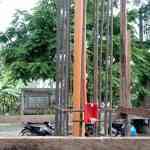 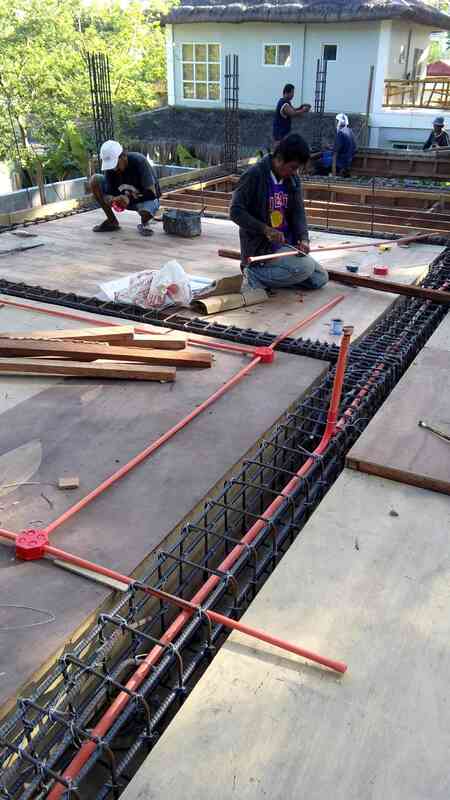 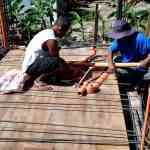 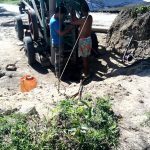 We tied all our 16mm rebar for the columns and made sure that any plumbing or electrical that need to be in them was finished. 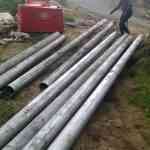 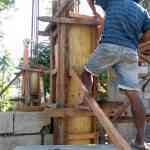 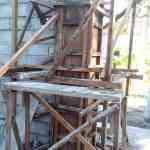 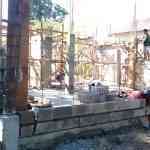 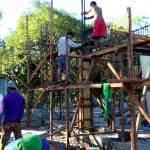 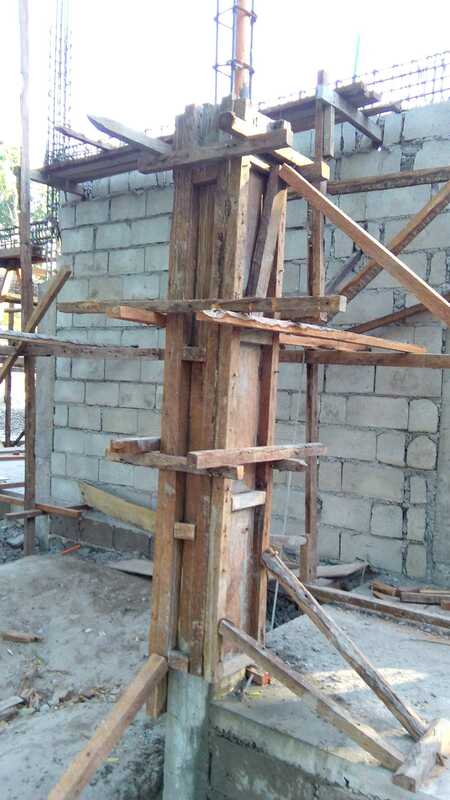 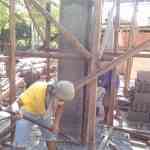 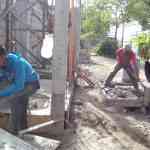 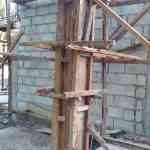 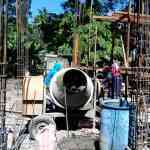 We then formed and poured all our columns. 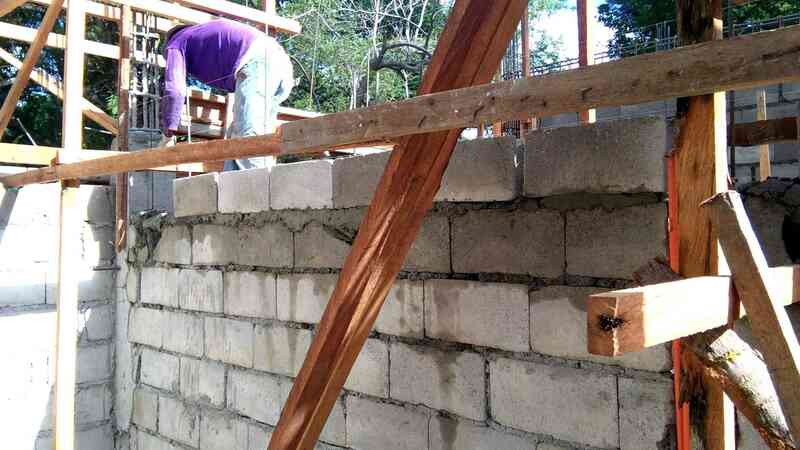 While doing the columns our masons got to work on the walls, and over the course of the past few weeks have set most of the ground floor walls in place. 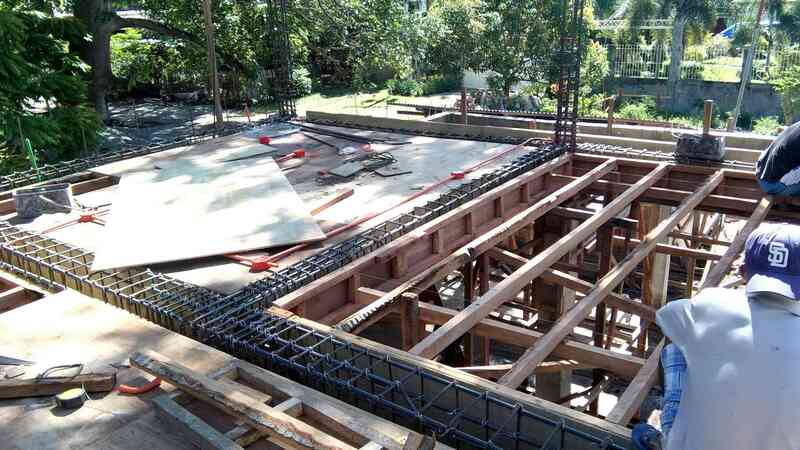 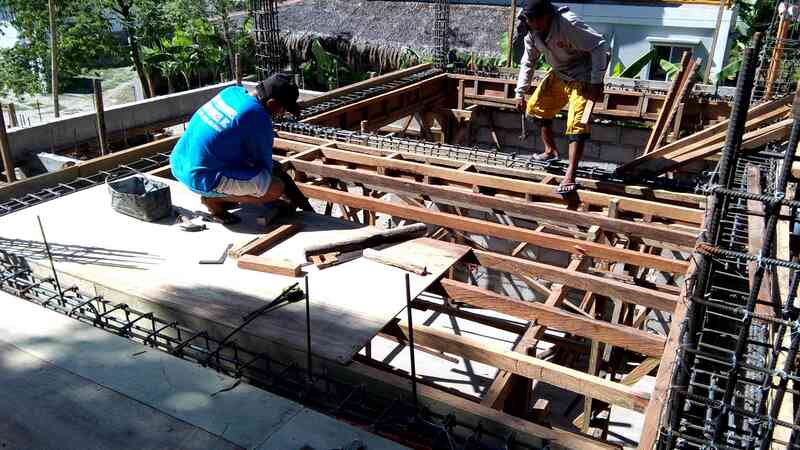 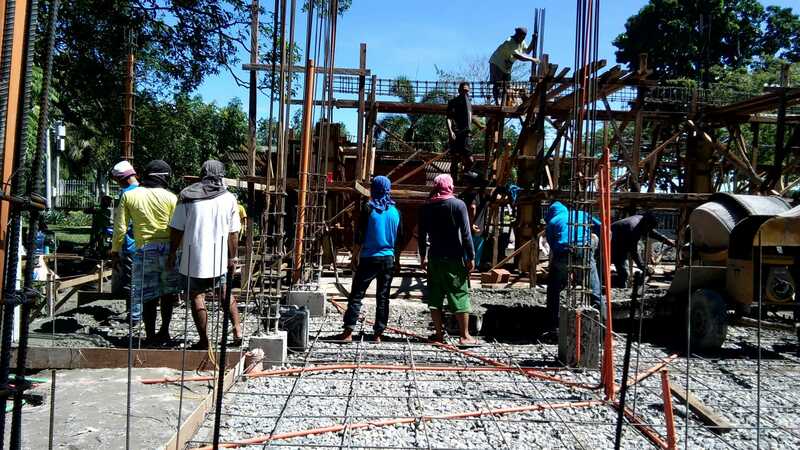 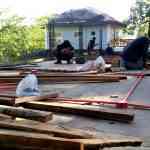 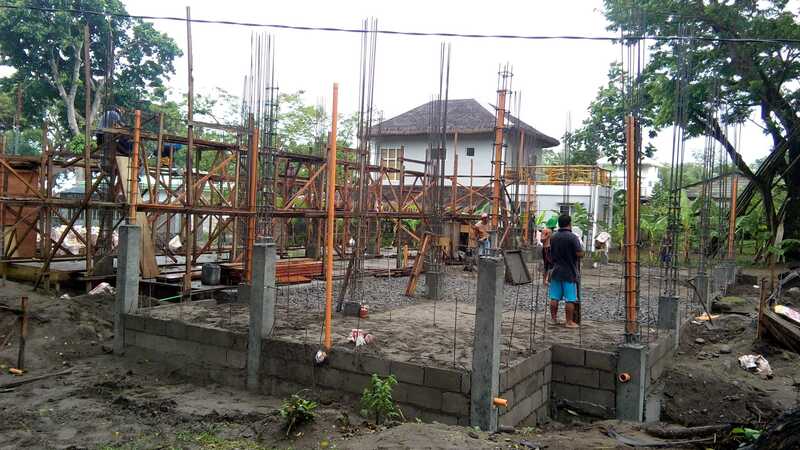 Currently we are working on tying all re-bar for the first floor suspended beams and floor slab, the preparing all the forms. 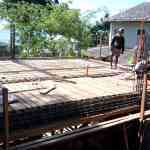 Once complete we start roughing in all plumbing and electrical that will be buried in the floor slab. 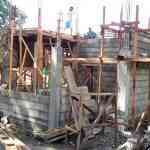 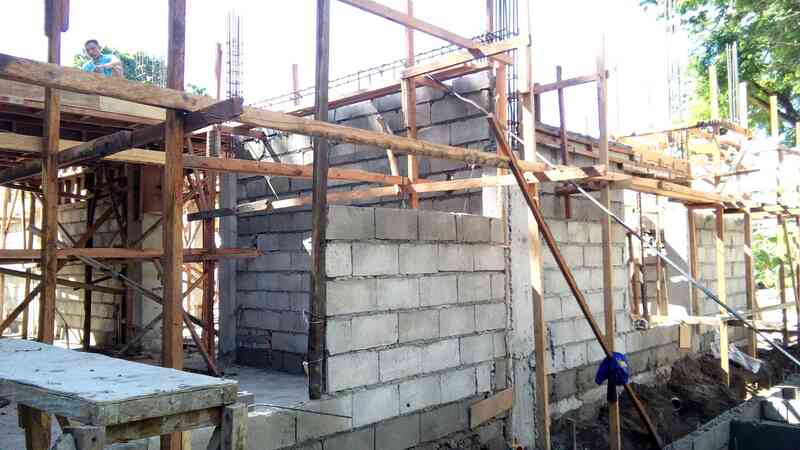 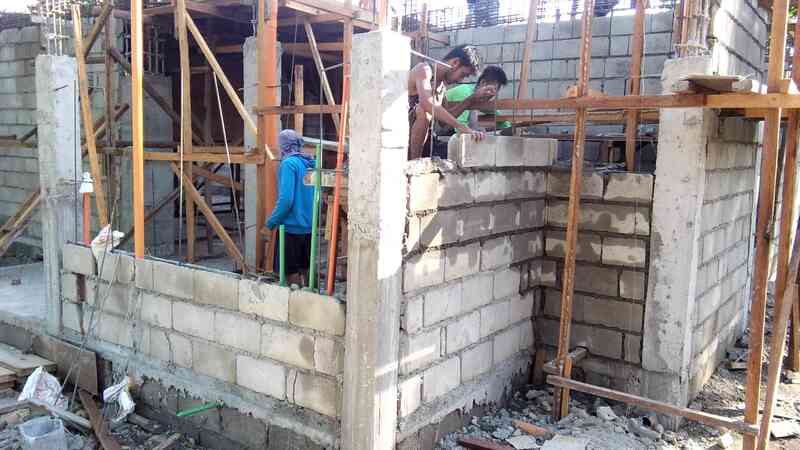 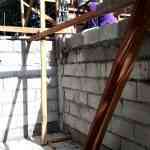 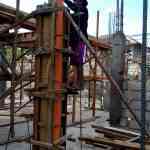 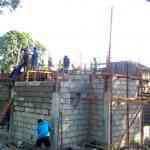 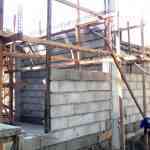 This Casa Alexandria Semi Detached Duplex is shaping up very nicely.